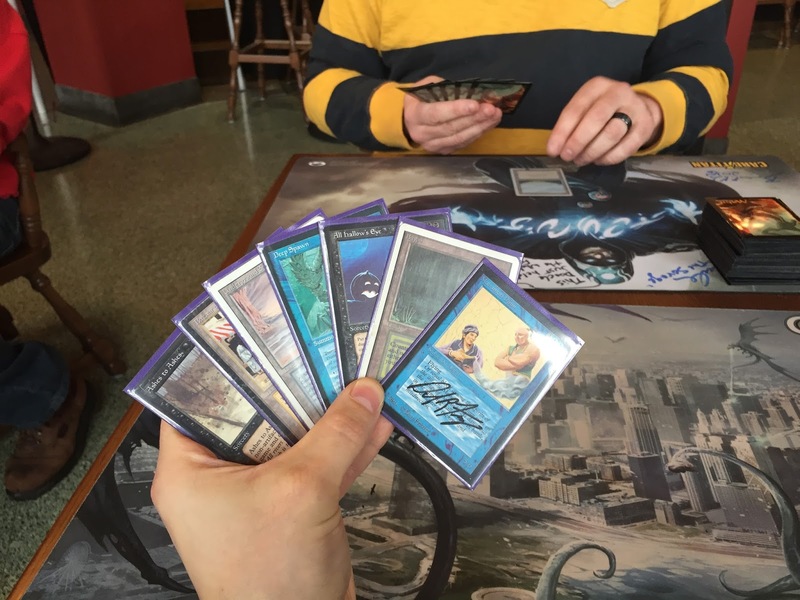 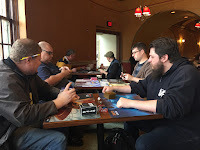 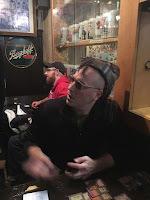 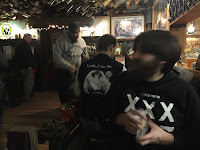 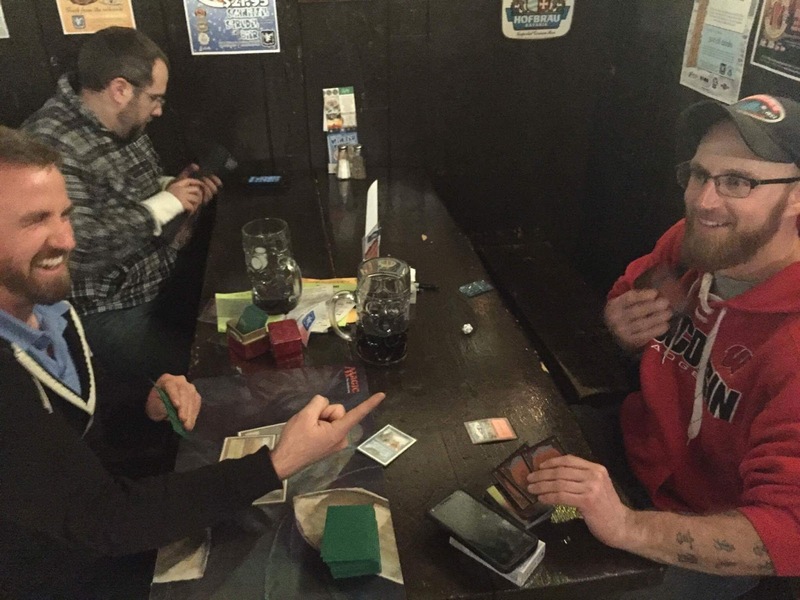 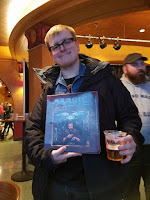 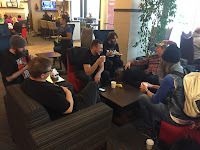 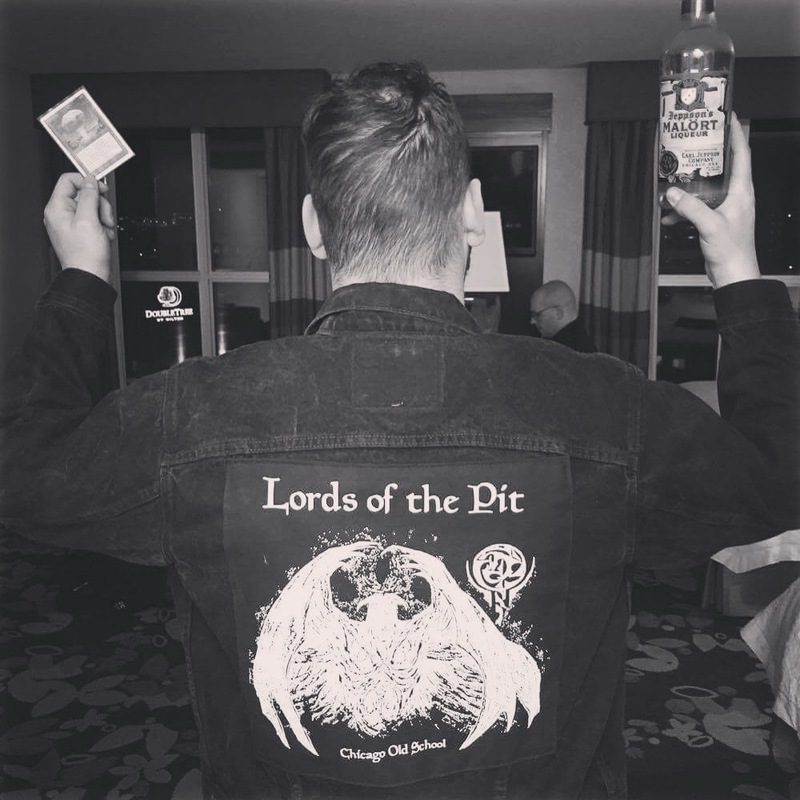 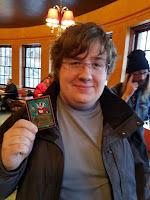 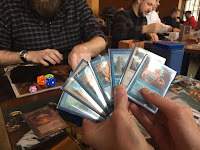 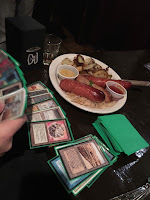 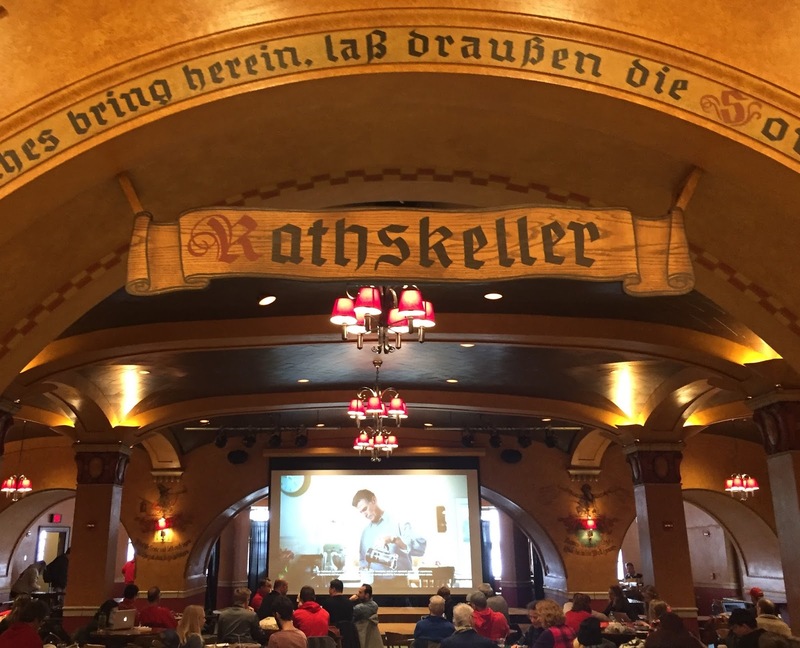 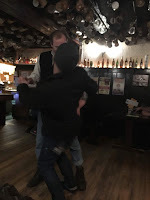 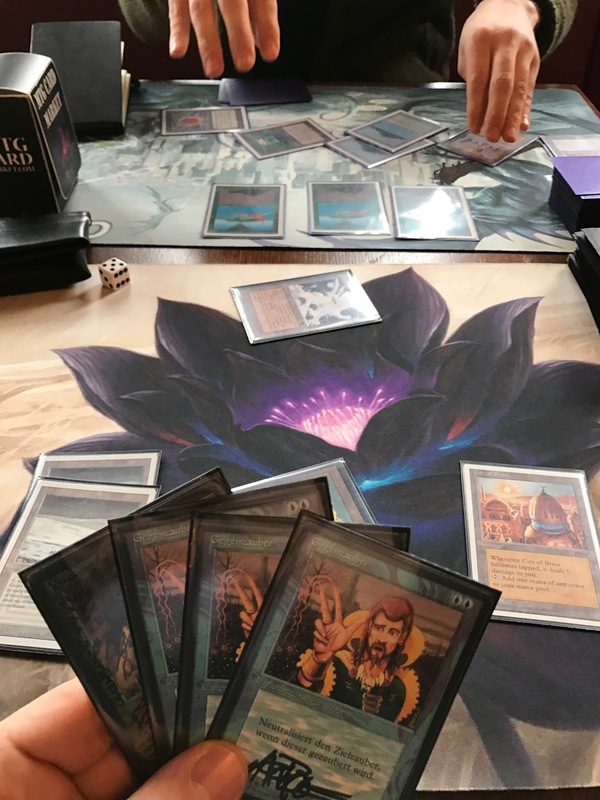 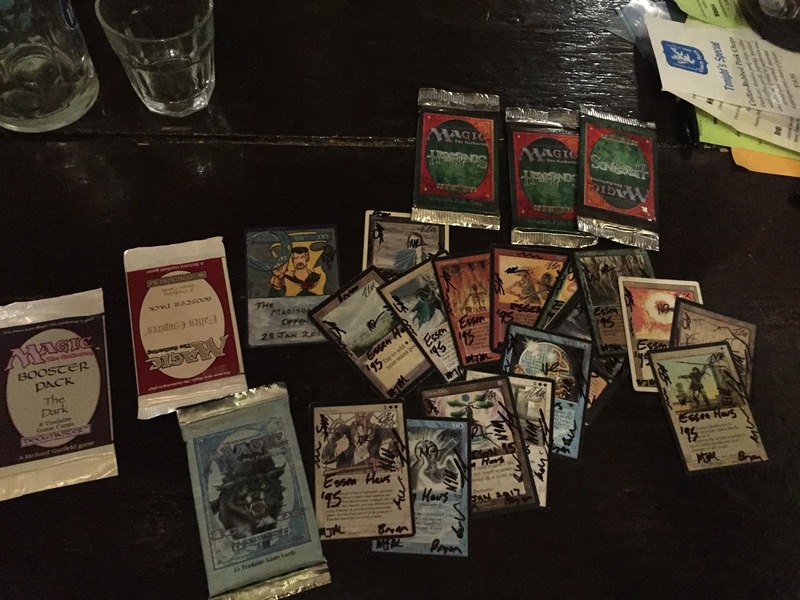 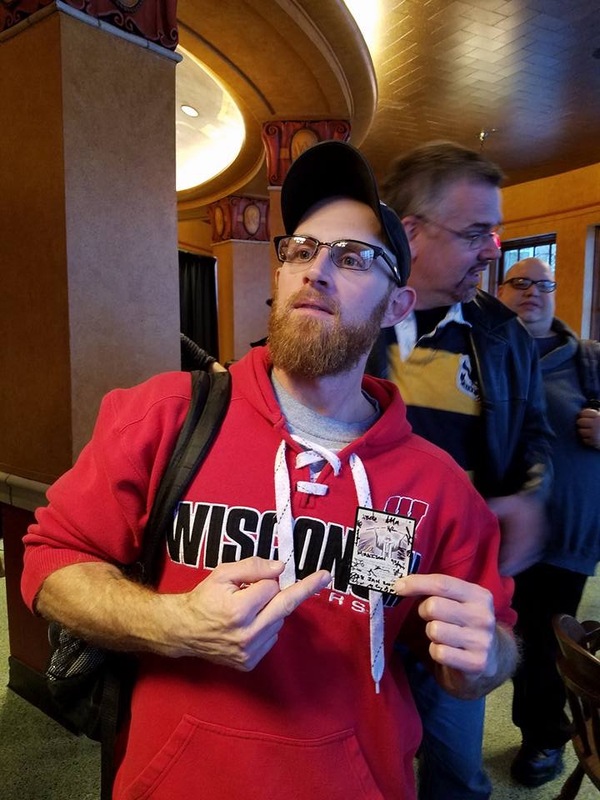 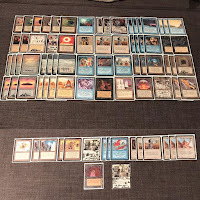 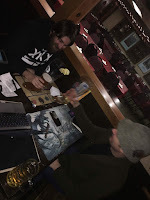 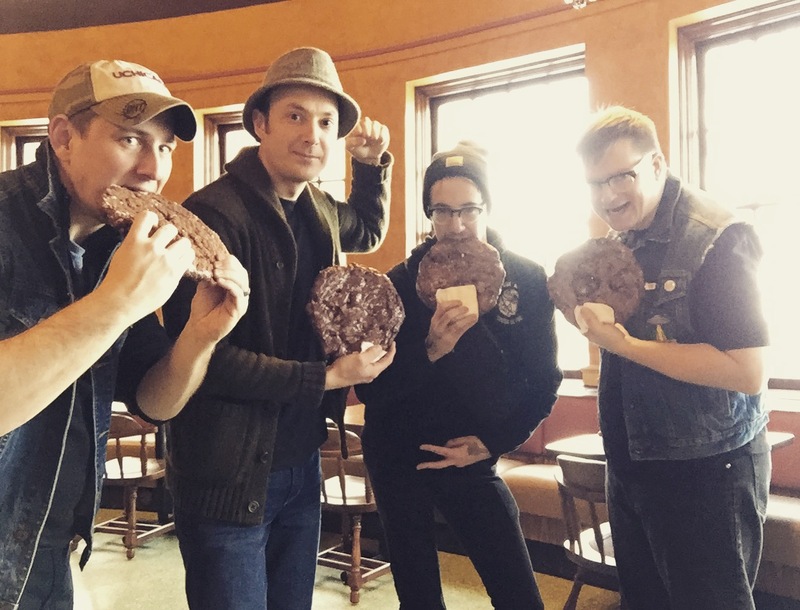 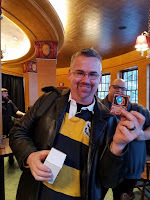 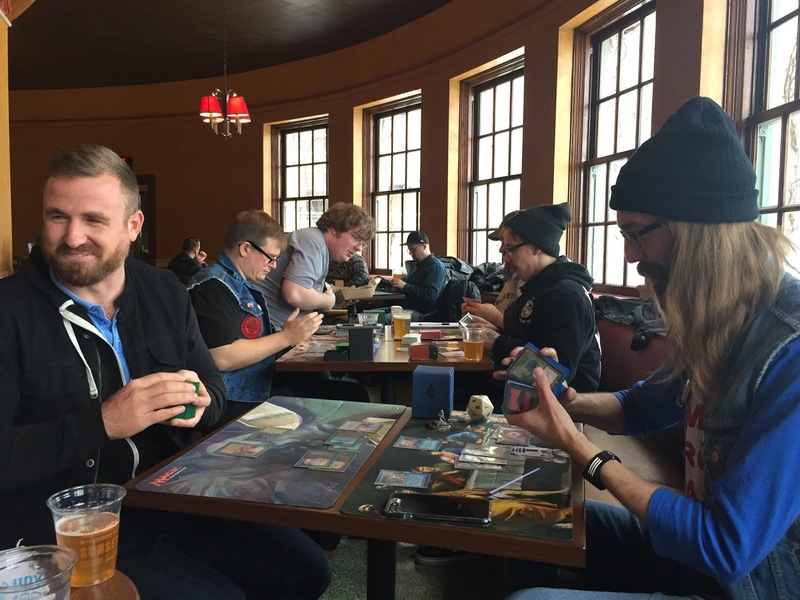 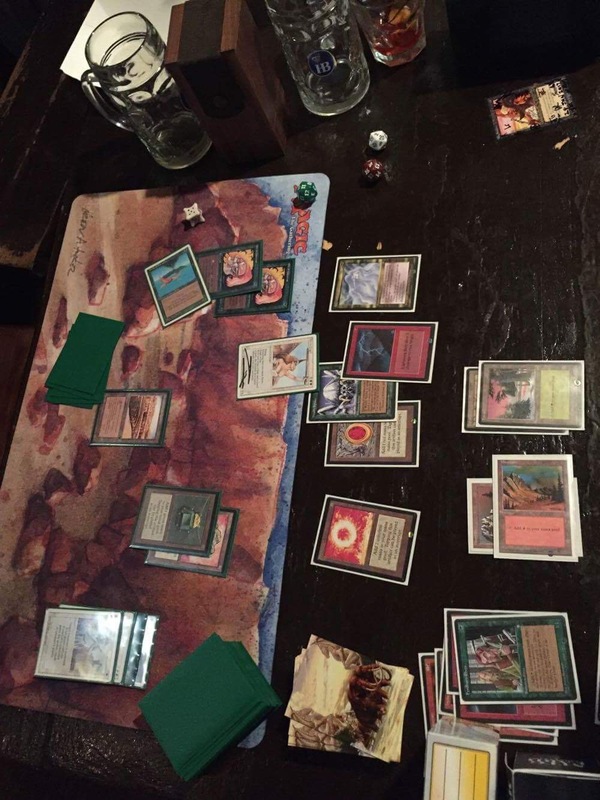 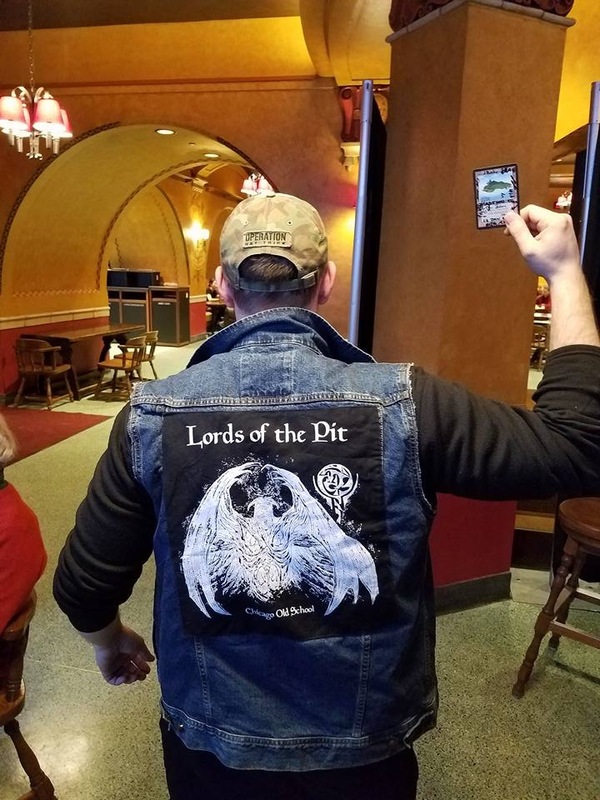 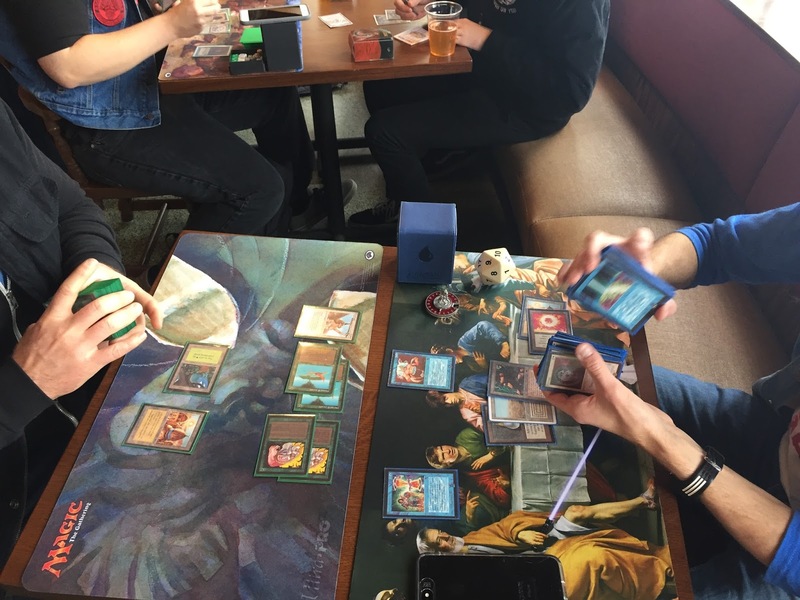 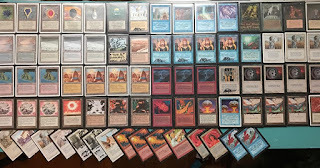 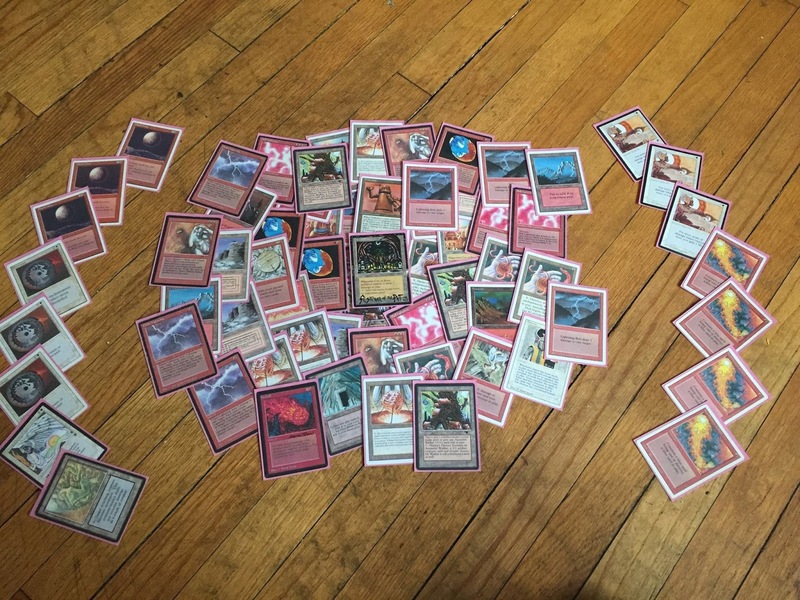 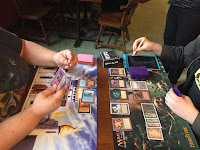 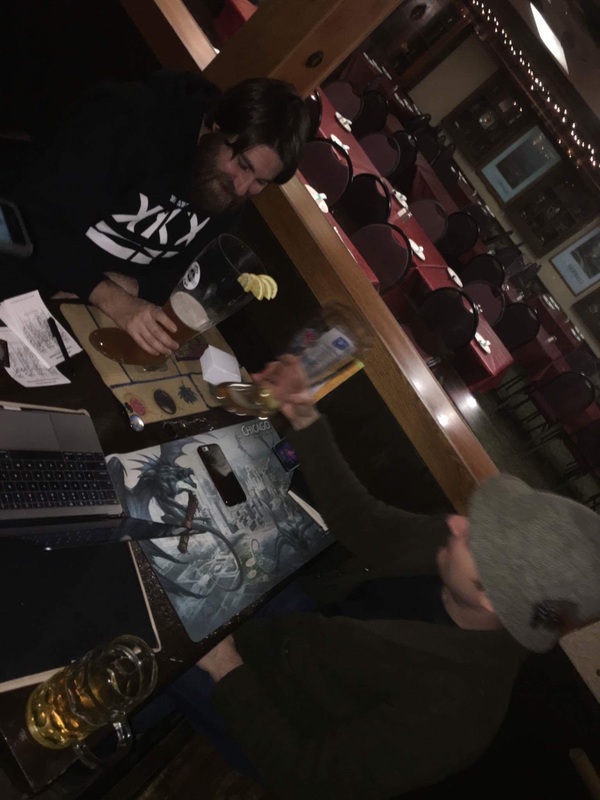 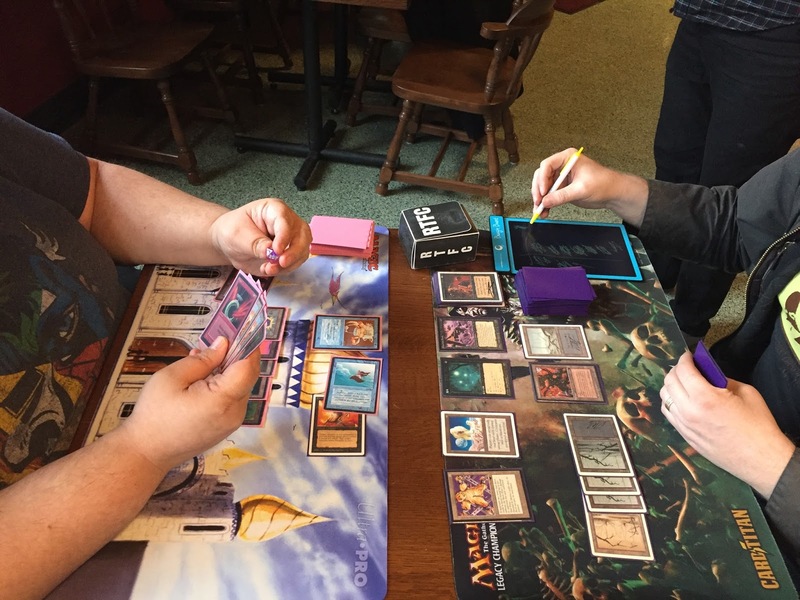 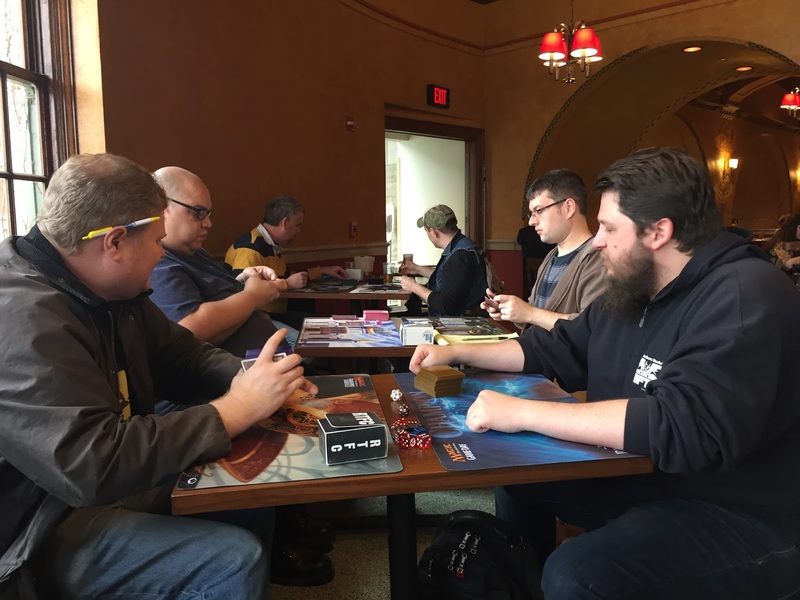 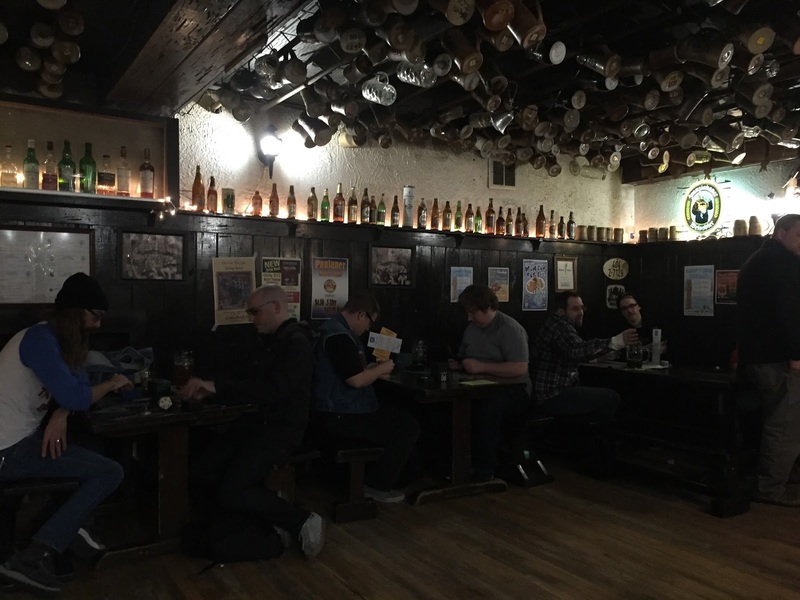 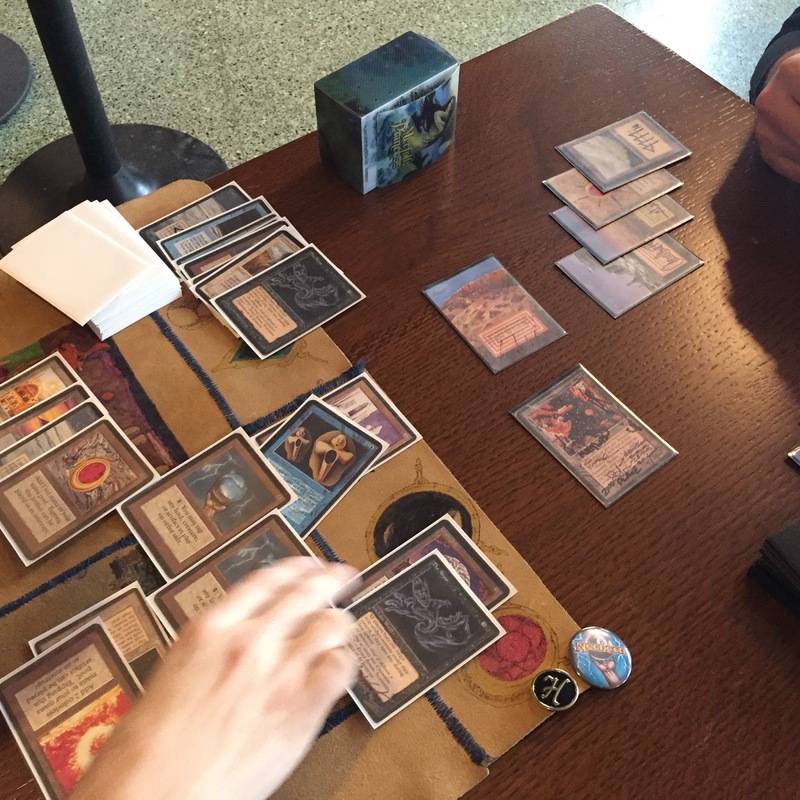 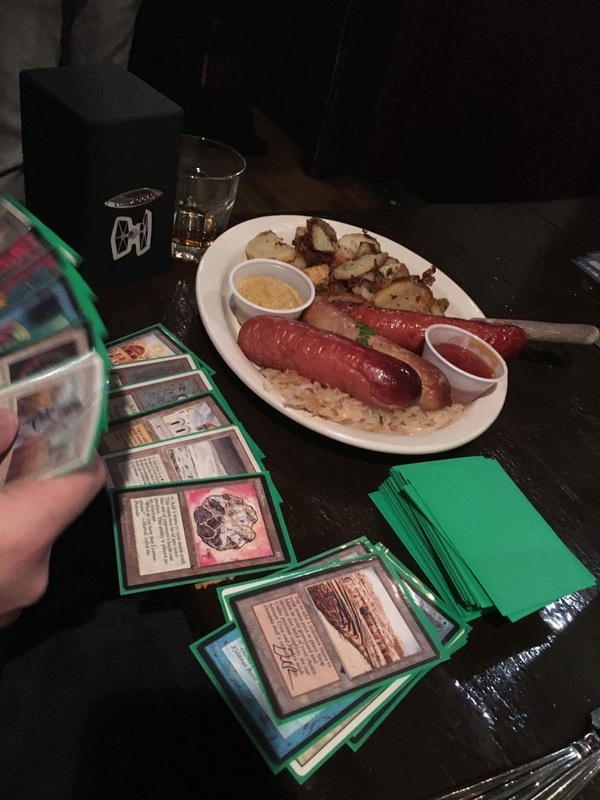 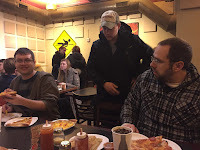 On Saturday, January 28th, Lords from Chicago, central Wisconsin, and Milwaukee convened in Madison, WI at the UW Union Rathskeller for a double tournament of arcane glory — 93/94 in the morning, and '95 in the evening. 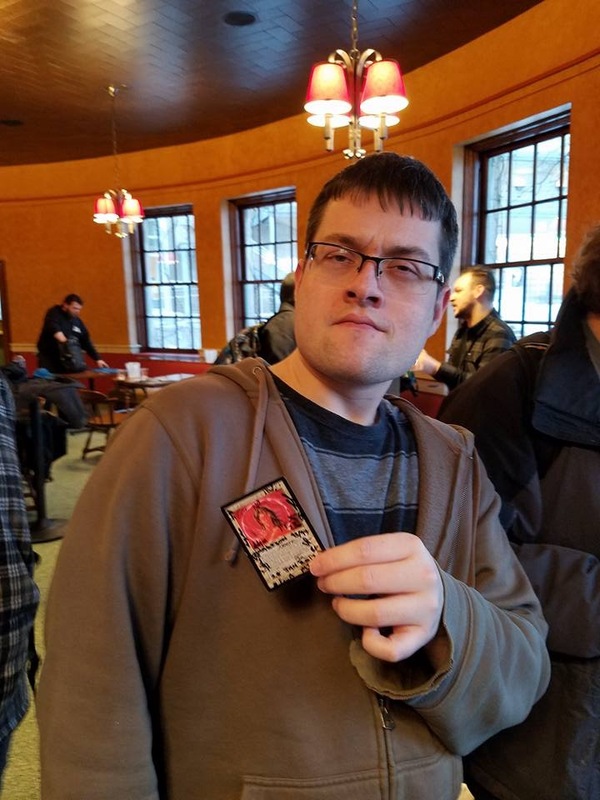 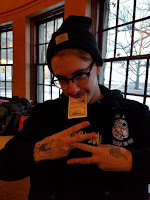 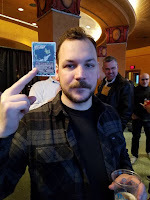 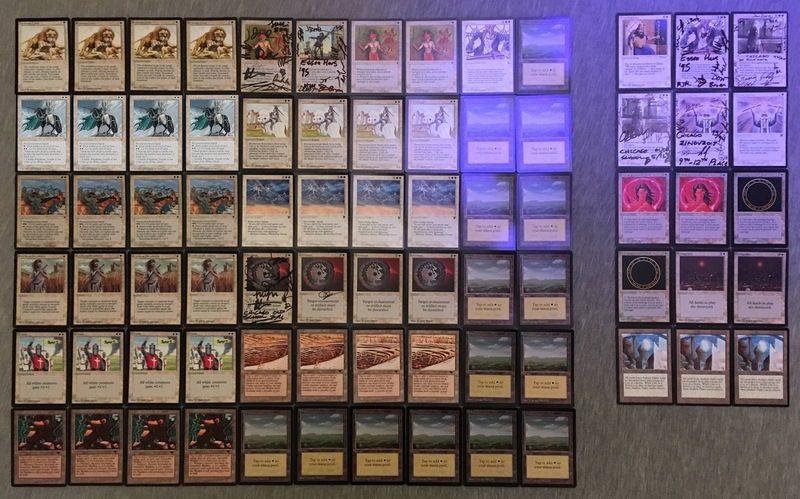 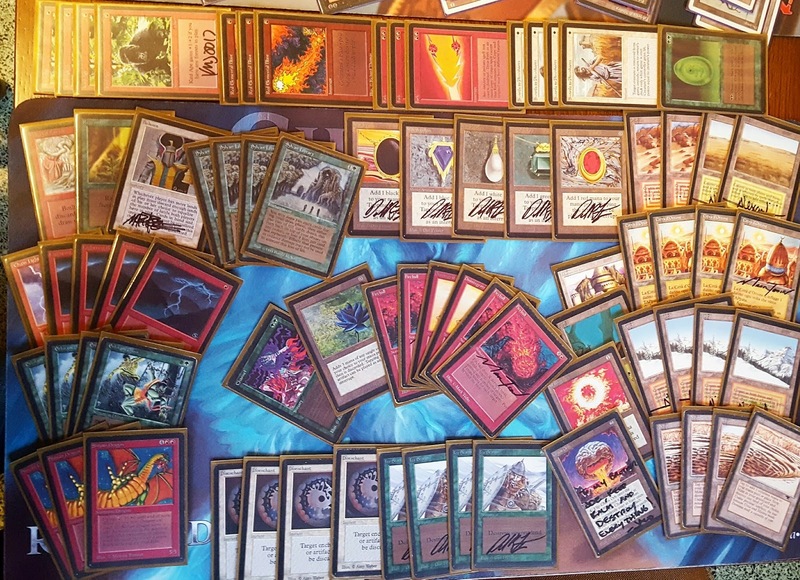 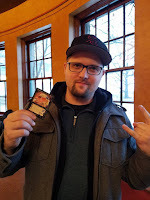 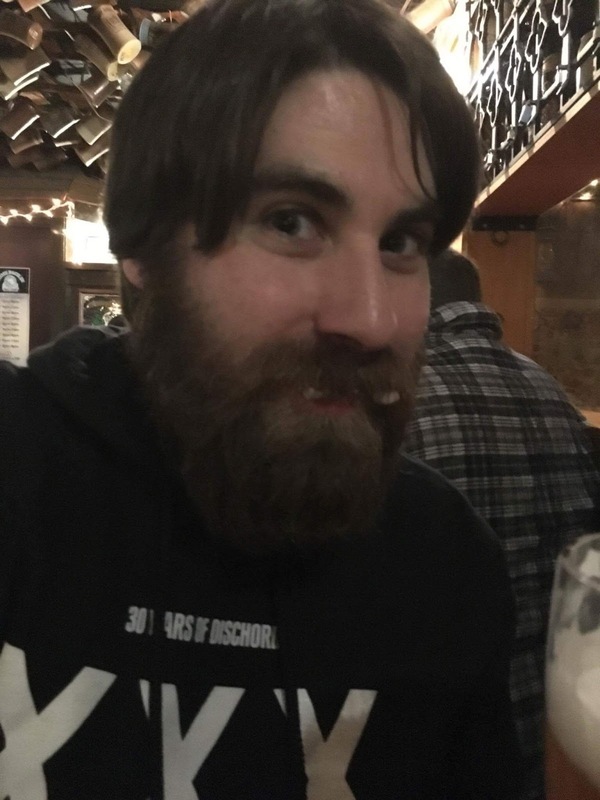 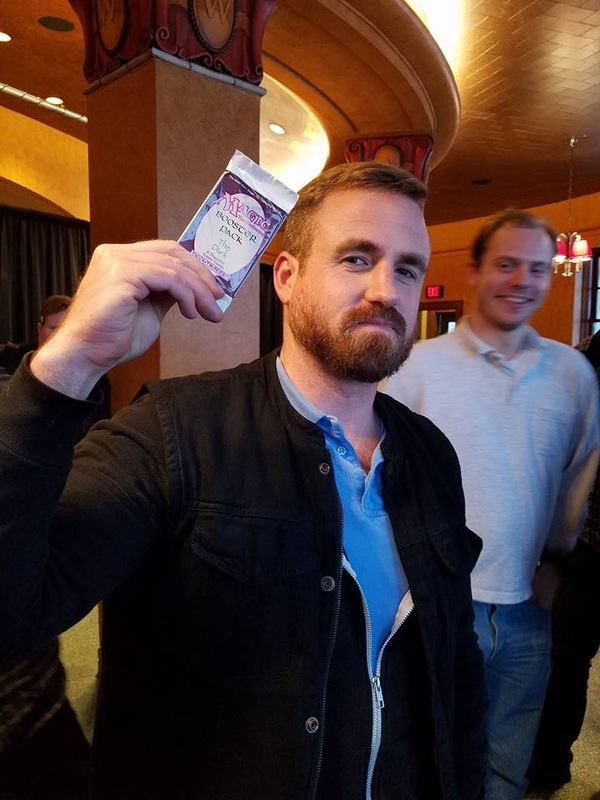 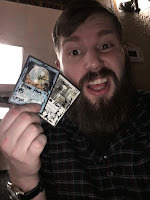 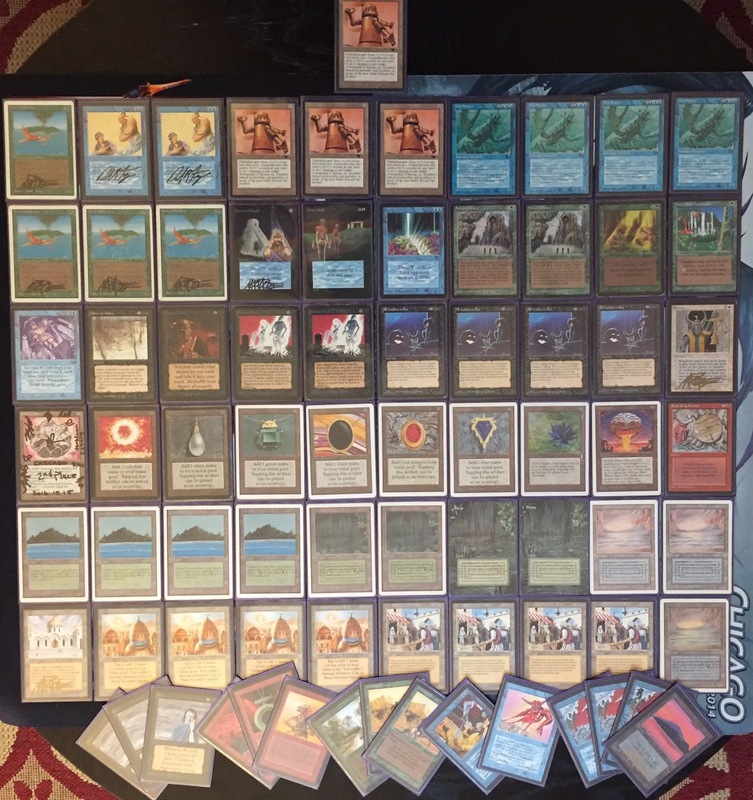 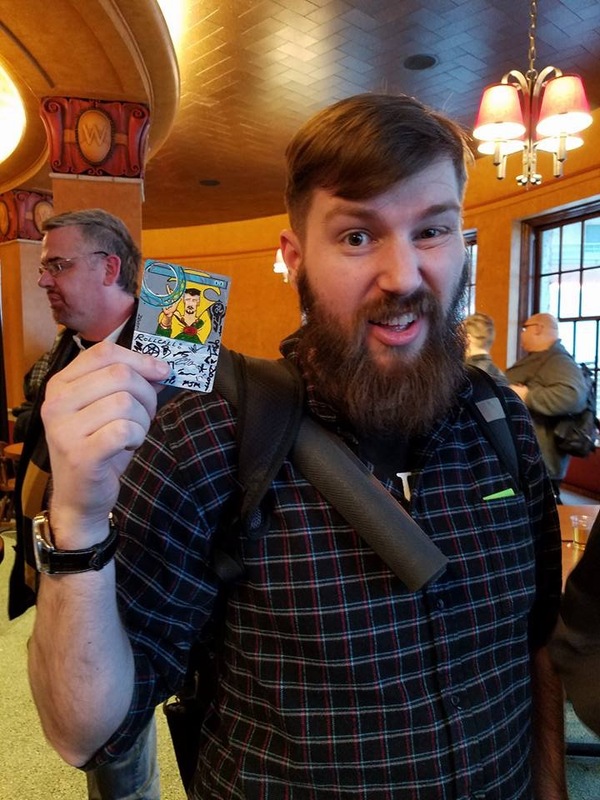 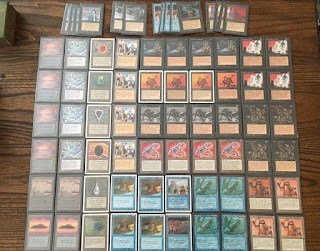 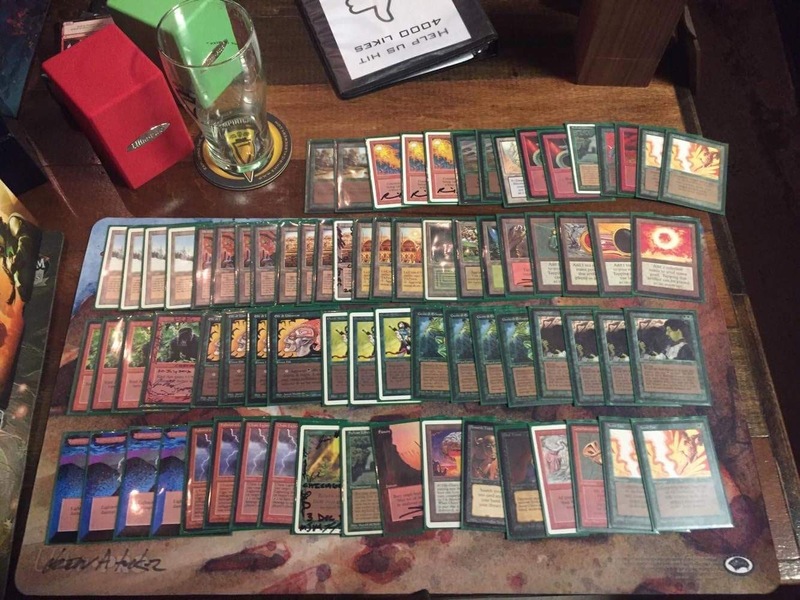 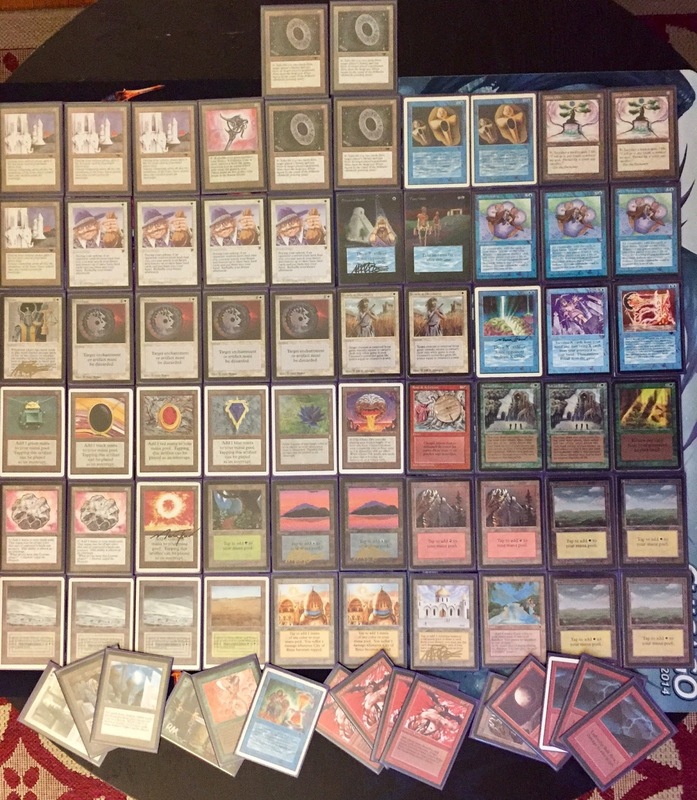 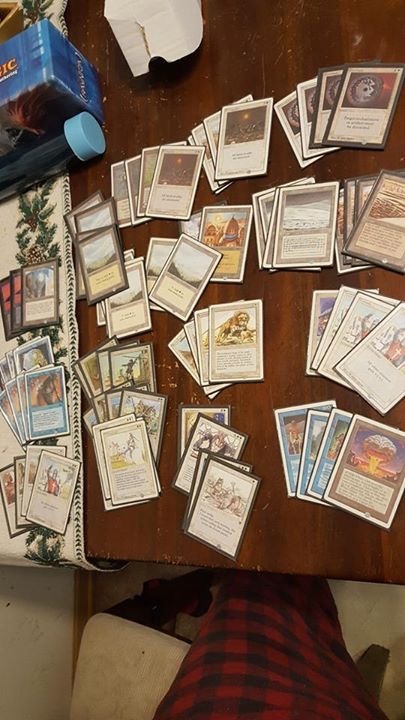 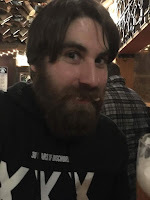 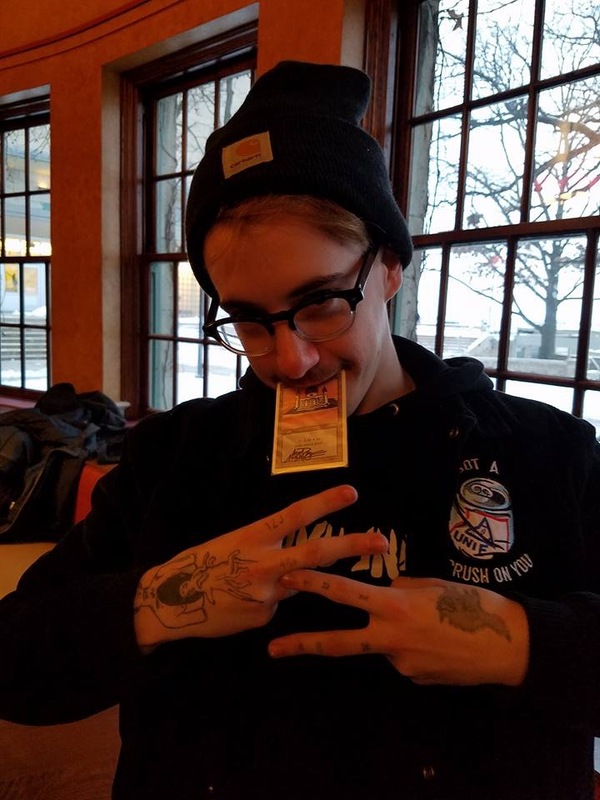 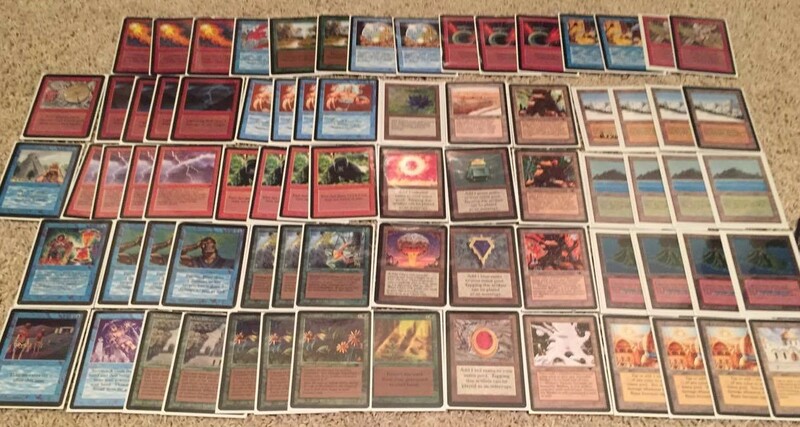 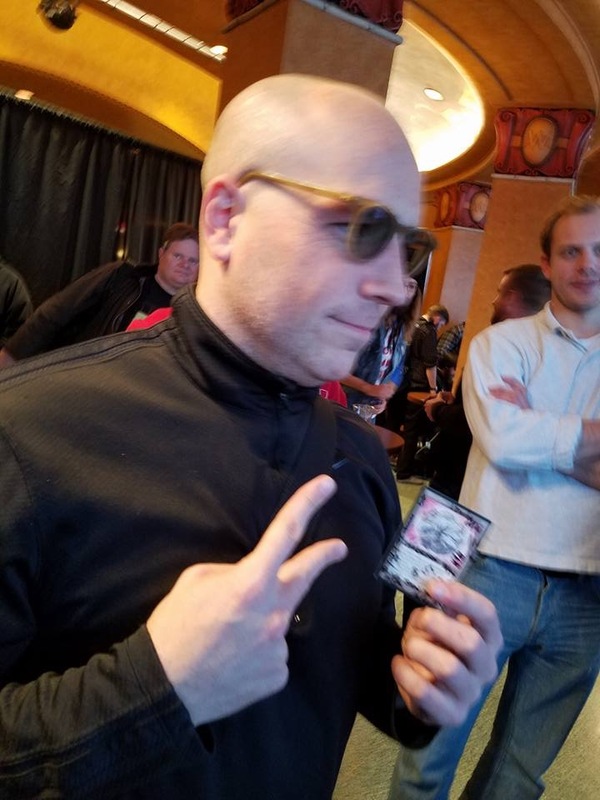 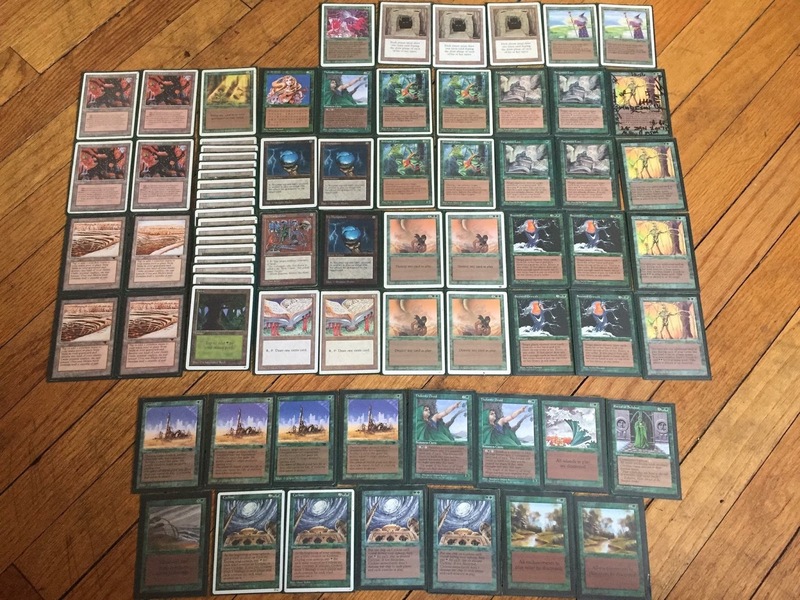 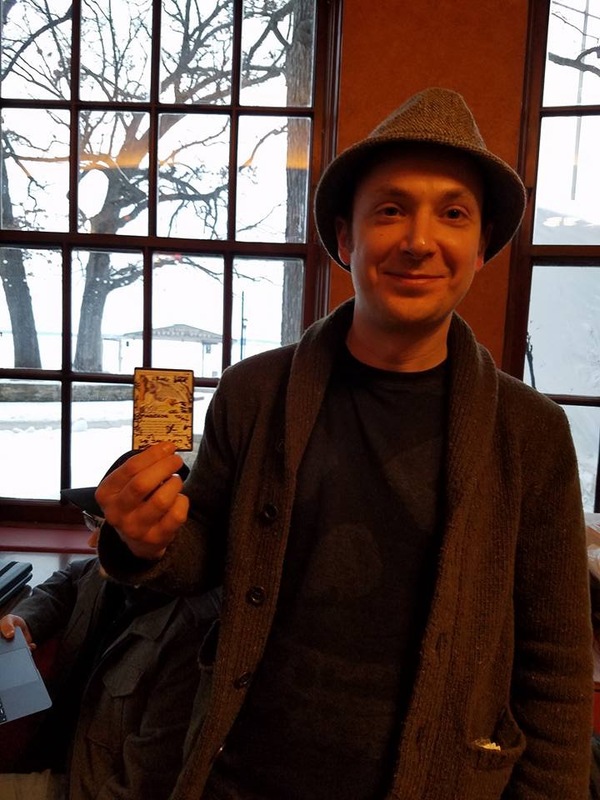 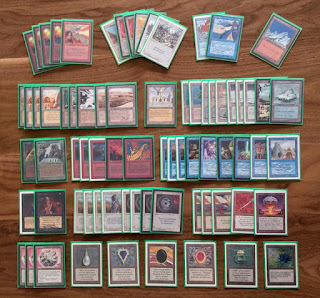 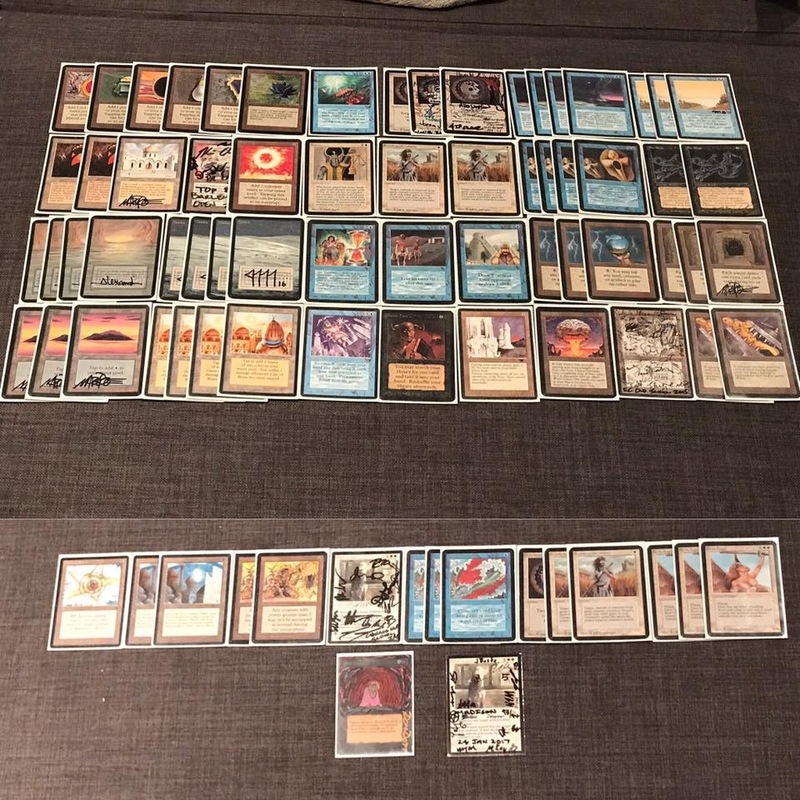 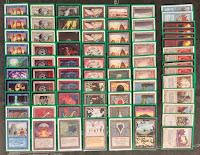 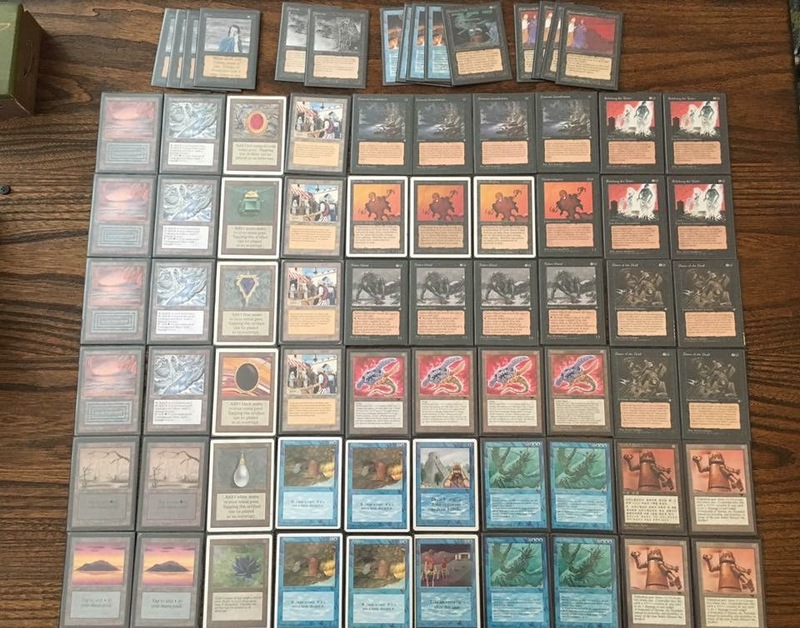 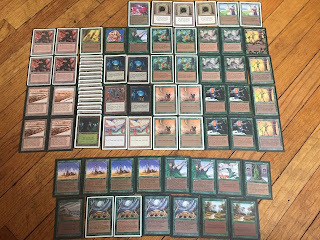 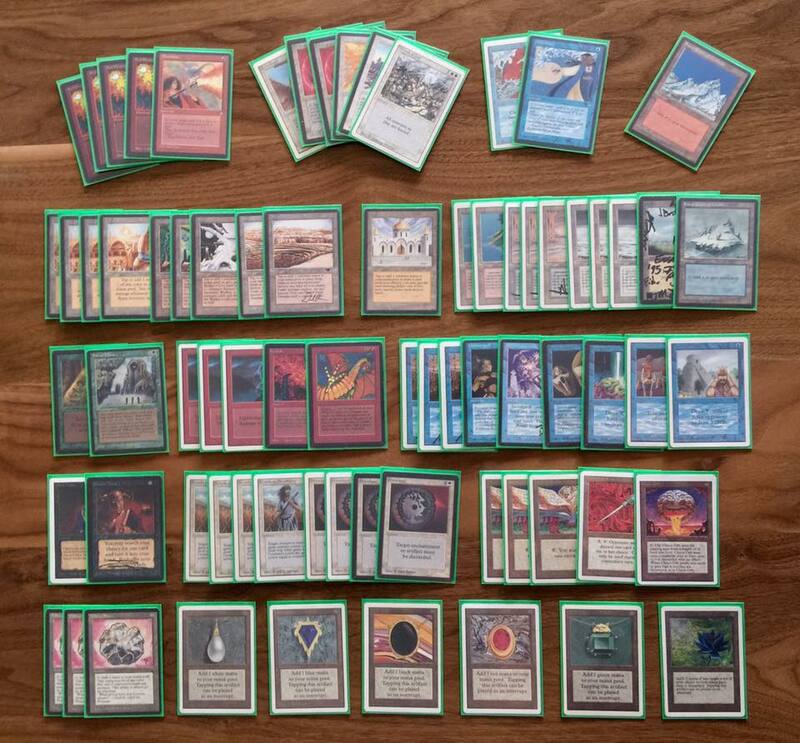 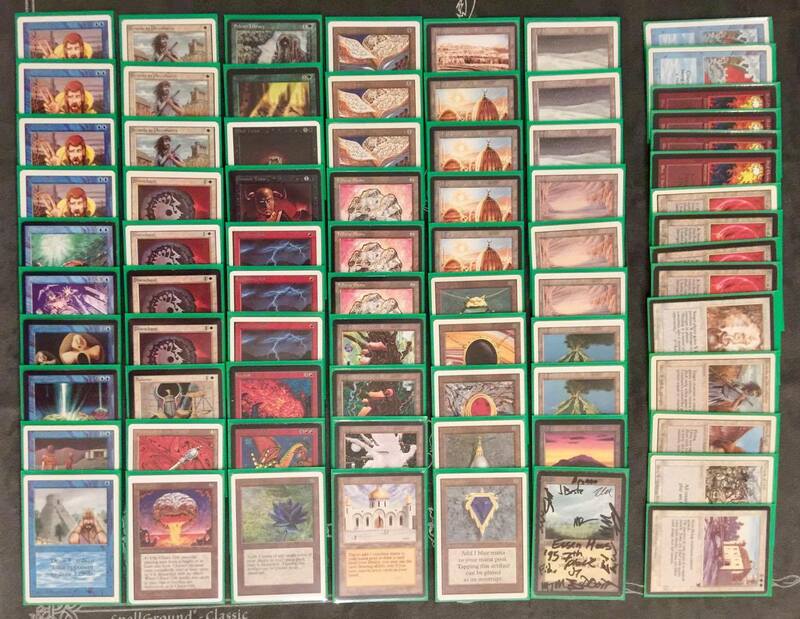 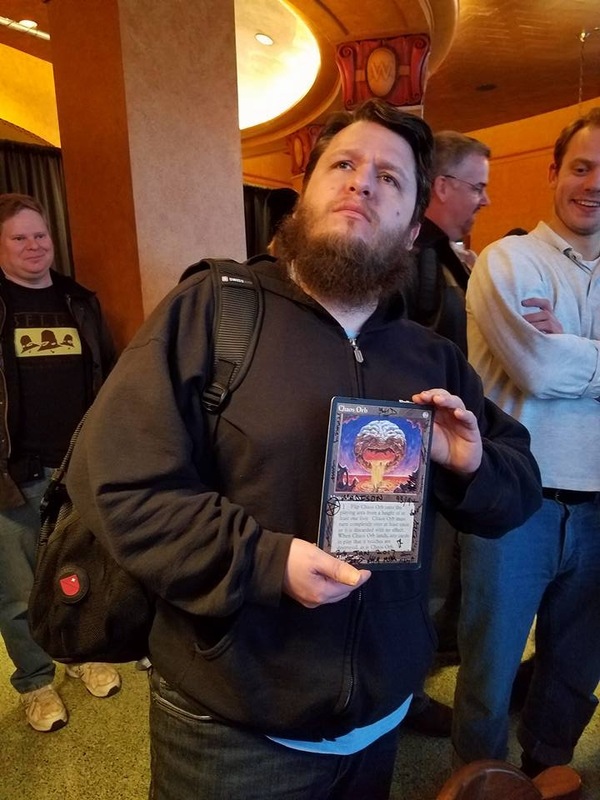 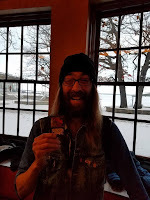 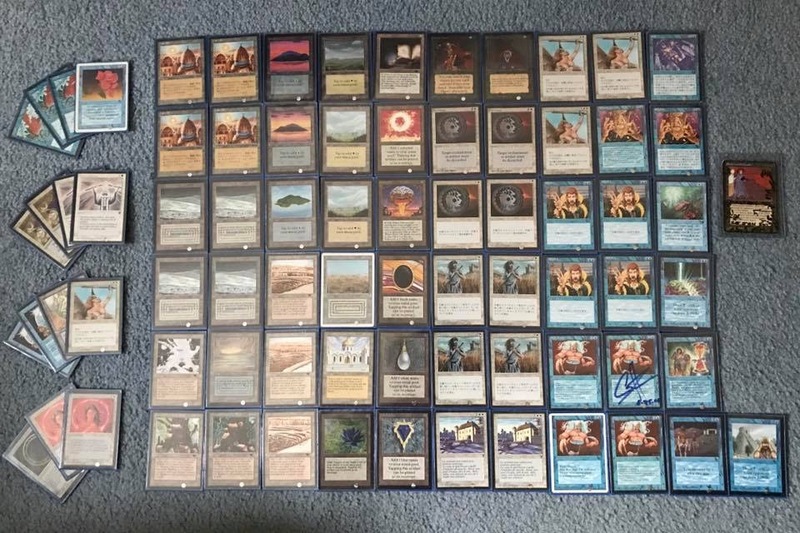 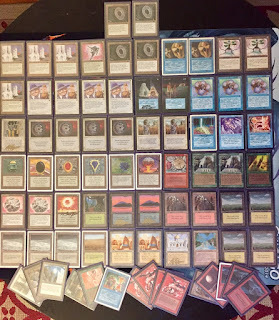 Madison local, and seasoned Lord, Ben Wagnon, took down the 93/94 event with little trouble, ending with a perfect 5-0 record and no need to slug out a top four. 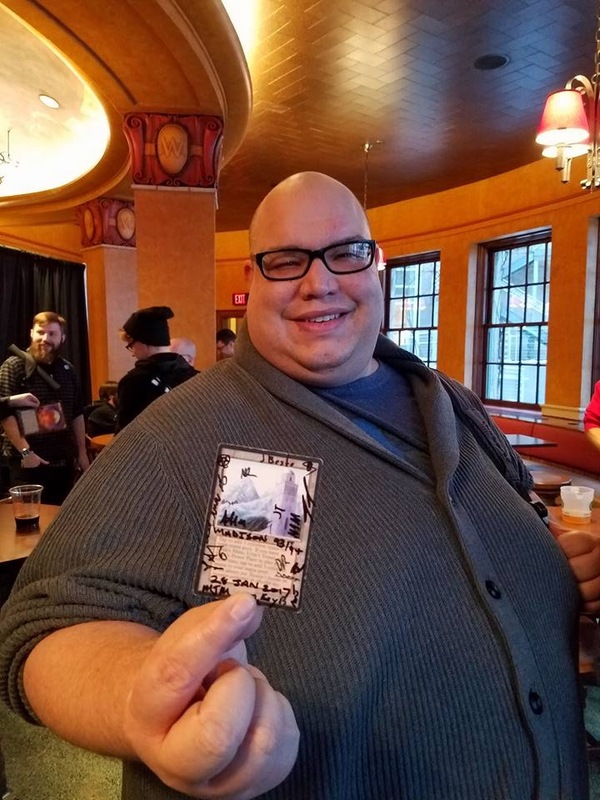 As has become customary with our gatherings, along with the glory of victory, the winning sorcerer is obliged to recant his tales from the battlefield, with hopes of preserving that victory the the annals of Dominaria's history. 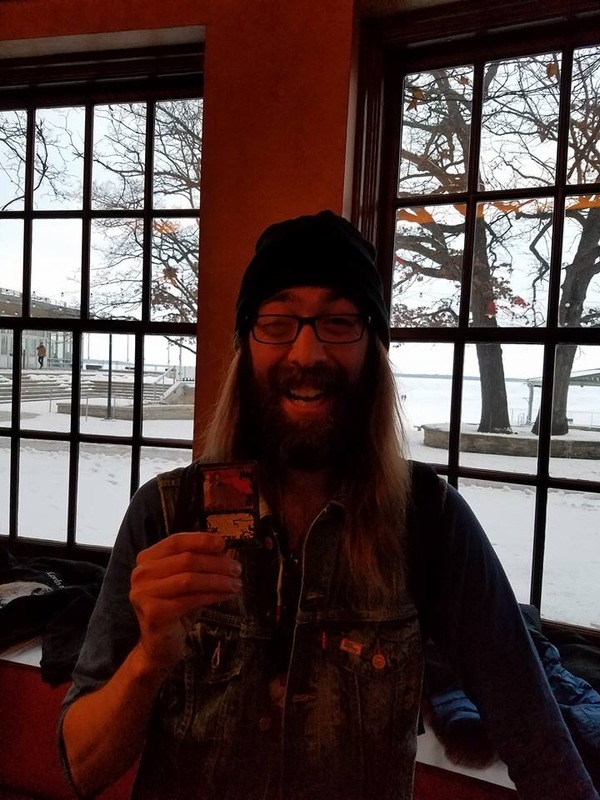 This is Ben's story from that fateful day on frozen Lake Mendota. 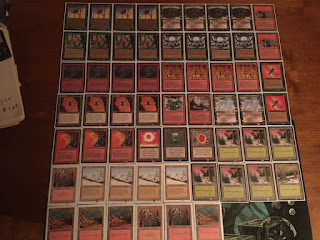 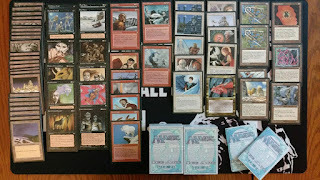 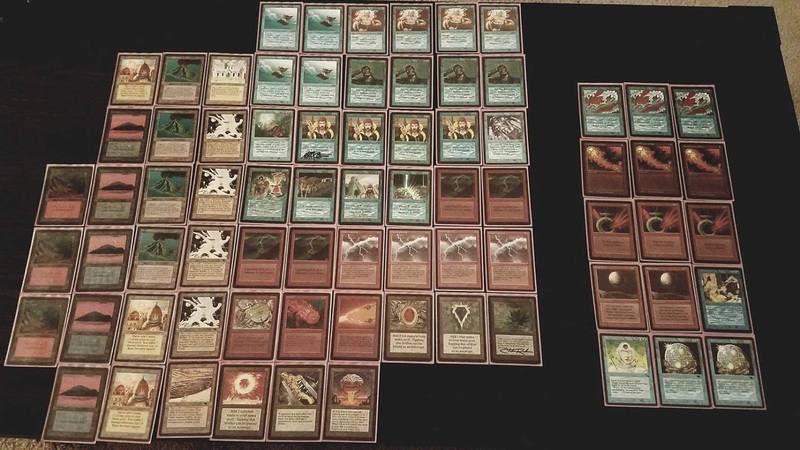 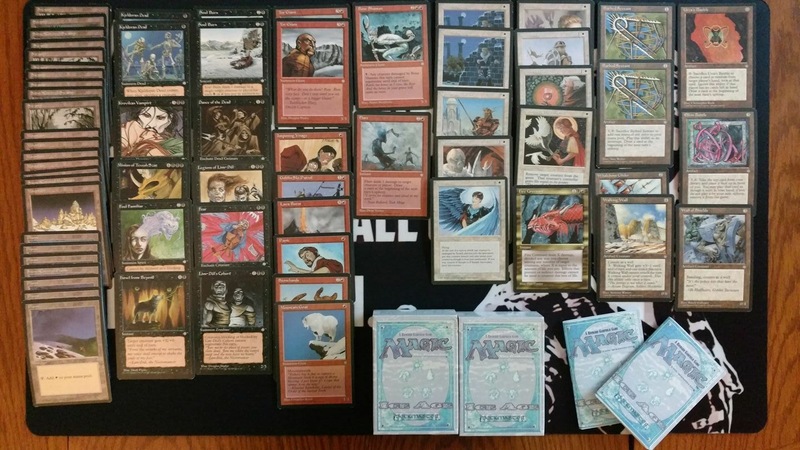 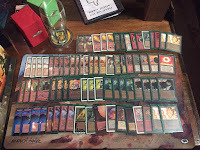 While I got into Magic too late to be especially nostalgic about 93/94, Ravnica-era Zoo with Kird Ape and Char was one of the first decks I picked up, and I’ve been wanting to bring something similar to Old School for a while. 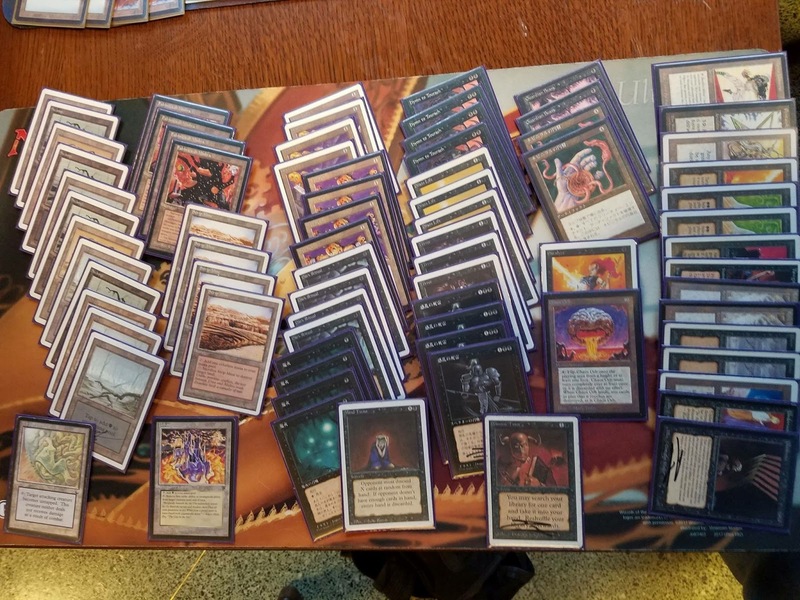 While straight RG seemed like a lot of fun, I had a newly acquired CE Ancestral Recall and Beta Power Sinks on top of a UR Control deck I wasn’t able to bring to the December tournament, so RUG Zoo seemed like the obvious choice. 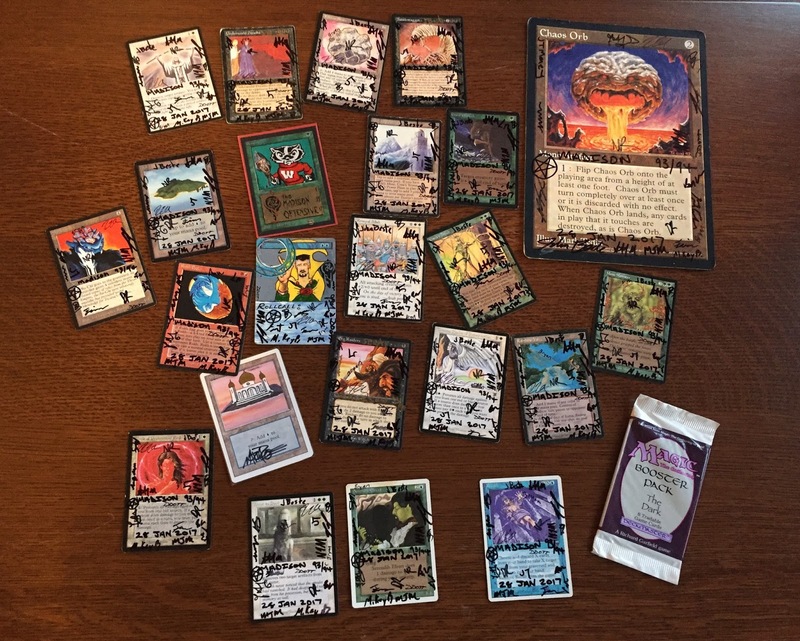 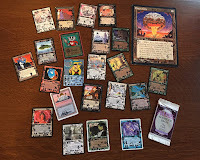 Having chosen a shell and some cards I wanted to play in the flex slots, I filled in the rest of the deck with the standard crew of Efreets, Djinns, and Bolts. 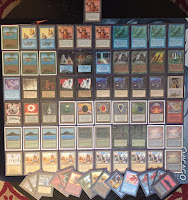 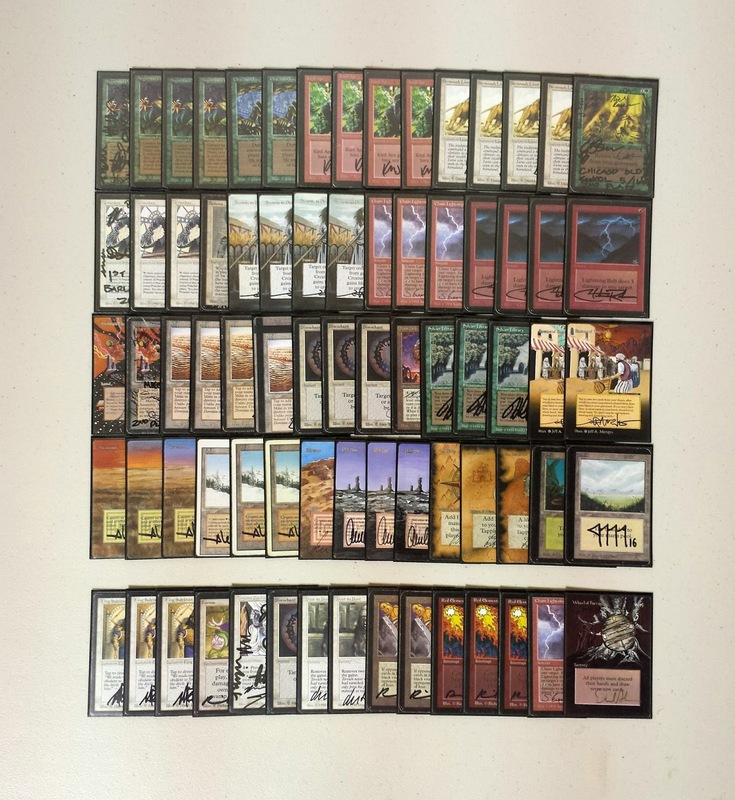 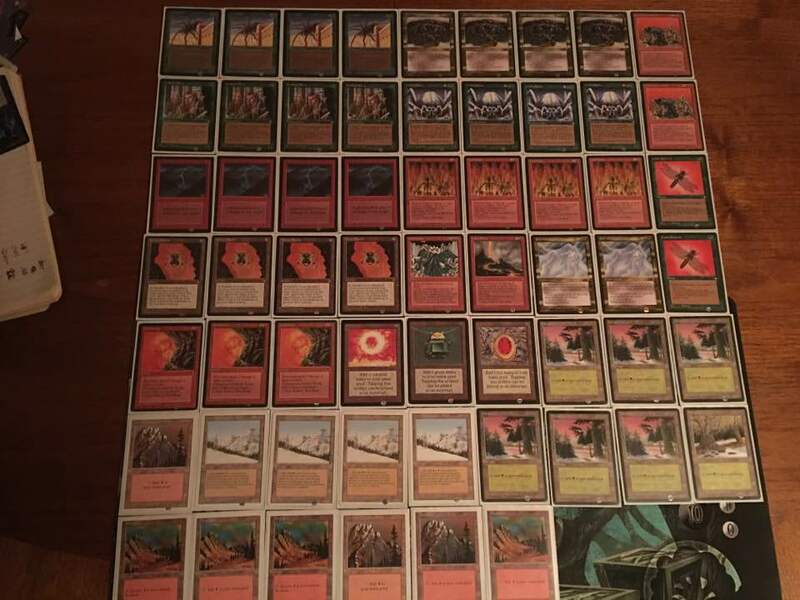 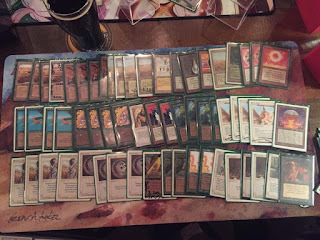 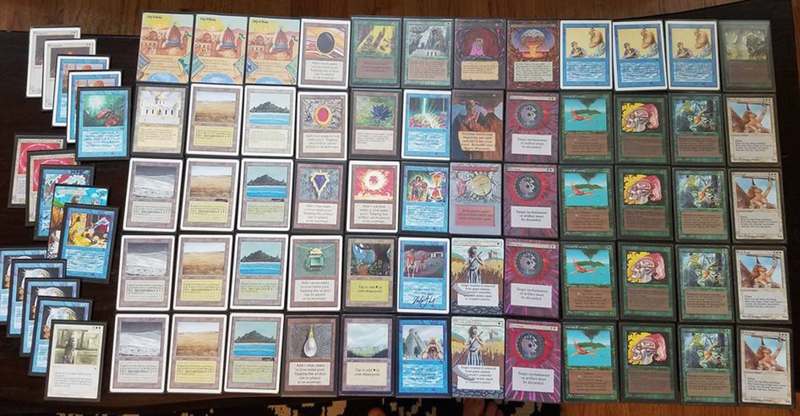 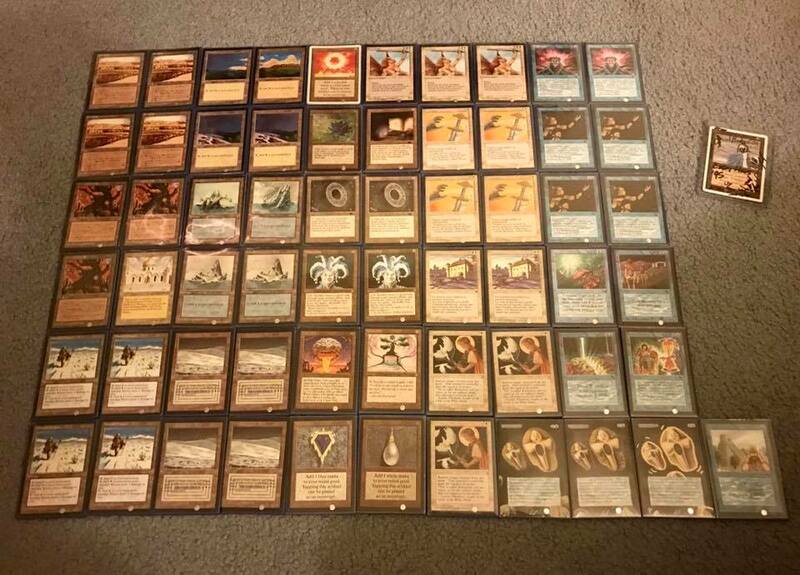 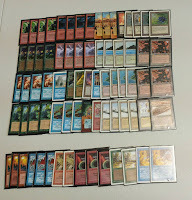 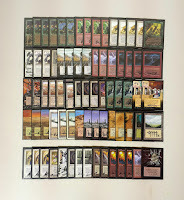 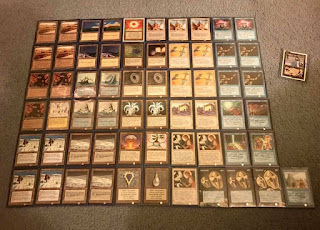 I tried to make up for a lack of Moxen with three Birds of Paradise and 23 lands, which seemed pretty consistent in my goldfished games despite the full helping of colorless lands. 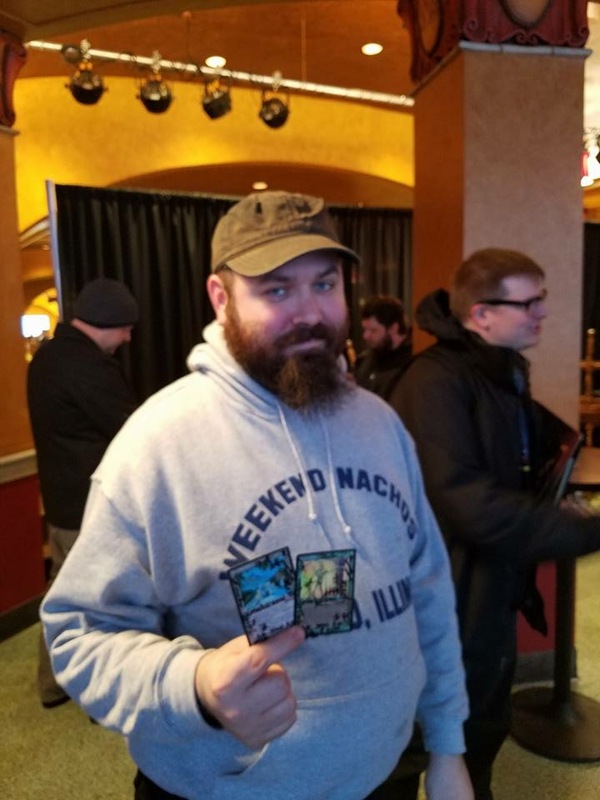 Luckily enough, Shane had some extra CE Power to loan out the morning of, and I upgraded two Birds and a Sylvan Library for a Sapphire, Emerald, and Time Walk available just before the tournament began. This match was very back and forth, and I never felt completely safe or totally dominated in spite of the four active Libraries over our three games. Game one, I barely squeaked out a win with an early Kird Ape plus Time Walk followed by exactly enough burn. In game two, I was immediately facing down a Circle of Protection: Red on turn two, followed by a Moat and enough Red Blasts/counter magic to keep my Serendibs away. 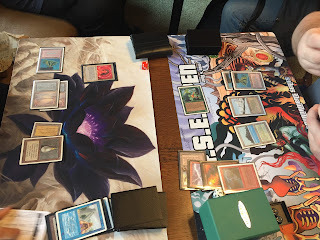 I tried to stay in as long as I could, but eventually got buried under Library. 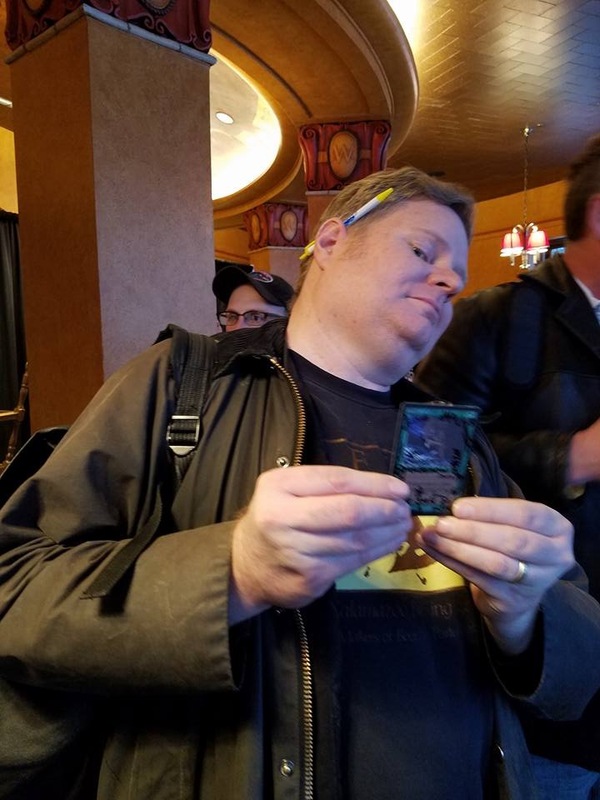 In Game three, Bob had a similar start, but a few timely Strip Mines followed by some Bolts kept me within striking distance. 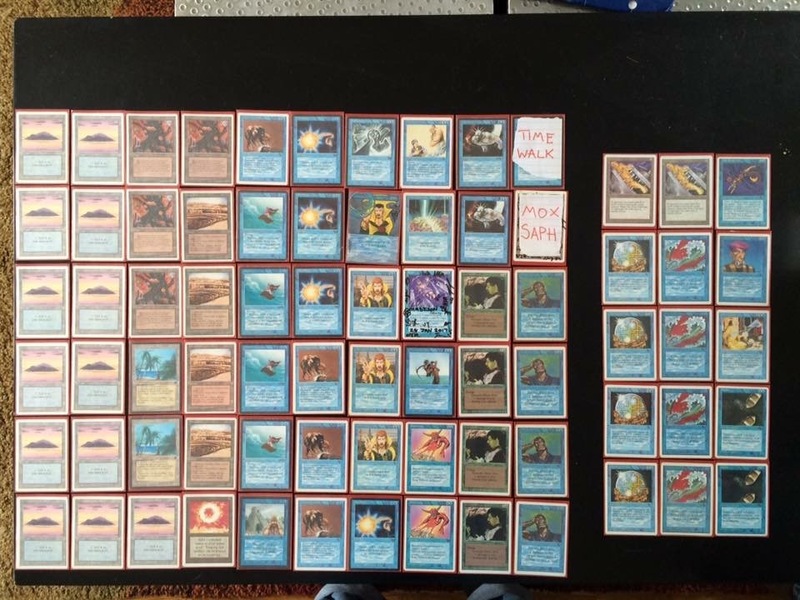 I ended up grinding out a few more turns and finished him off with a Psionic Blast or two. This was a very fun match, and solidified Zoo as my favorite deck I've played so far in Old School—being able to play an aggressive beatdown deck while having possibilities for complex stacks and board states is fantastic. 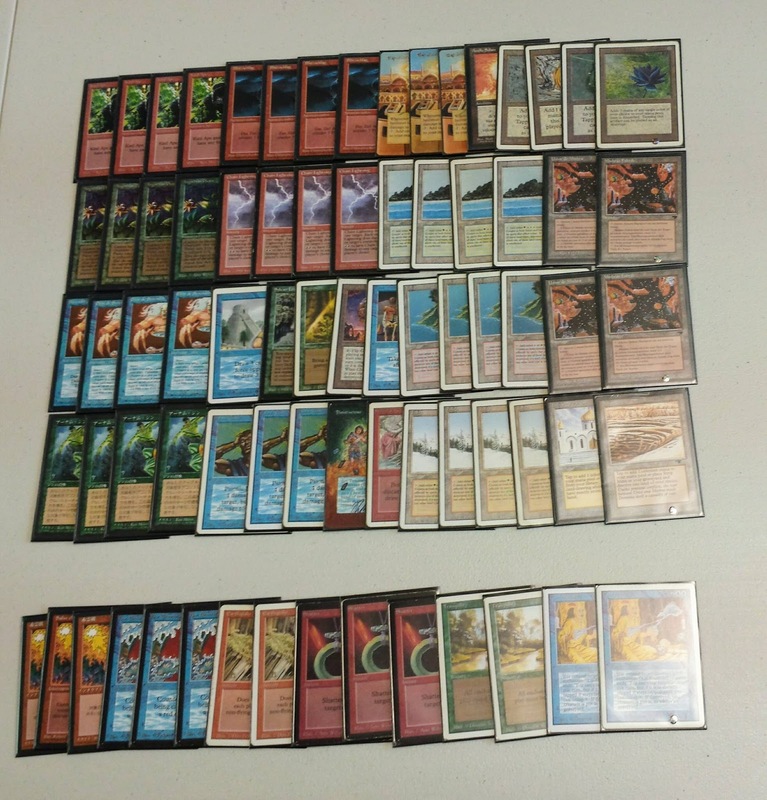 I don't remember a ton about this match, but this is one of the scarier decks for me to play against. Lots of burn to punish me for my Serendibs and Cities, and big spells with Blood Moons to overload my removal and counters. Luckily, I had well-timed Blue Blasts and fatties to make up for a couple fairly questionable plays on my part, and was able to escape with my mana base and life total intact. 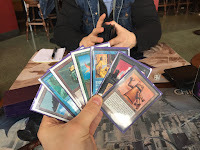 A mirror match wasn't exactly what I was looking to face at this point, since I would almost certainly be outgunned in terms of Power, and Zoo can have trouble answering powerful early plays. 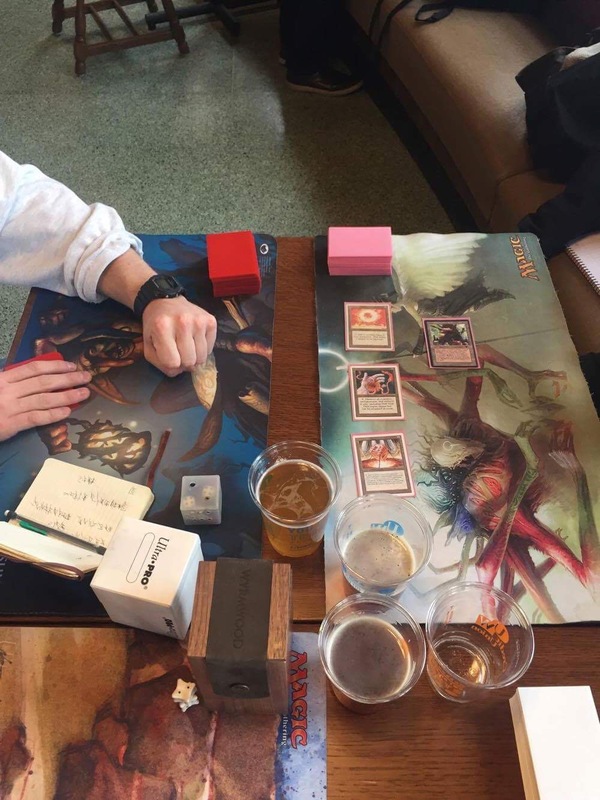 Game one confirmed my fears, as I was rolled over by a turn one Wheel off a Lotus, followed up by Ancestral and beaters. 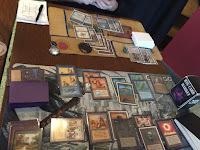 In game two, I got some advantage from having a slightly heftier creature base, which meant that I had only a few Bolt-able creatures. 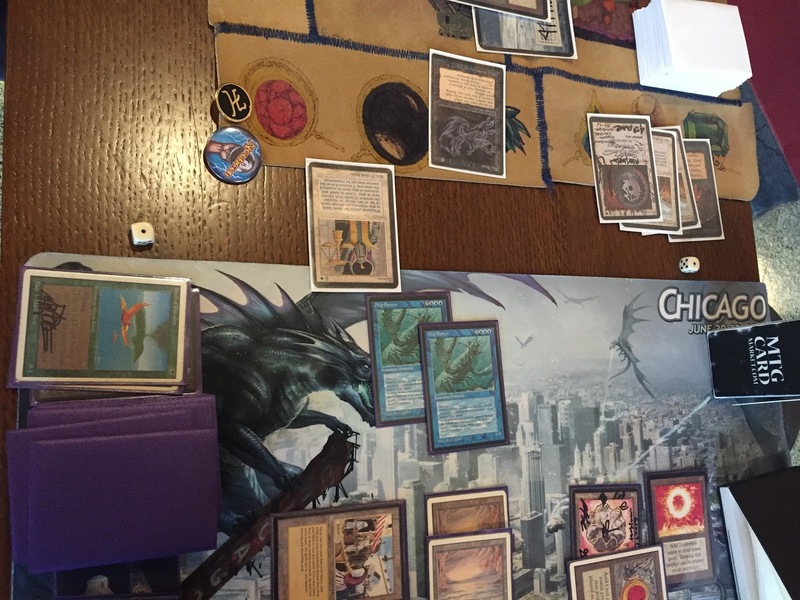 I had a perfectly timed Fireball to remove his Argothian Pixies and clear the board for more beats. 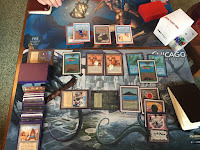 Game three was a fairly anticlimactic ending to this match, as Bryan was pressured to cast an early Wheel, which drew me into Ancestral and fatties and him into half his mana base. 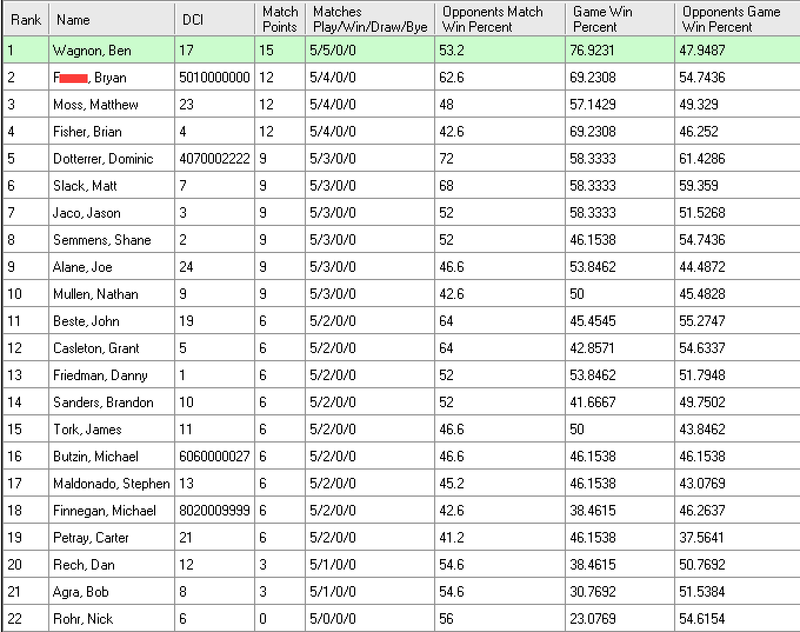 I remember next to nothing about this match, but "blitzed to a 2-0 W" is the description Matt gave. At this point in the day, a quick win and some time to rest was much appreciated. 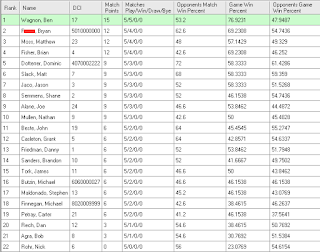 I've never finished better than a match above even in Chicago before this tournament. The Lords don't mess around. 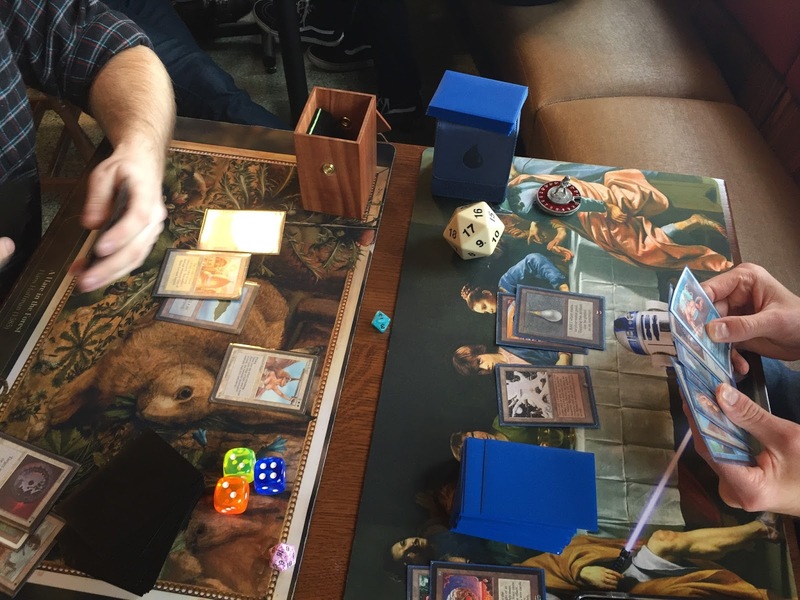 But after taking the first four rounds, I started to seriously think about the possibility of running the tables, as long as I could steer clear of Serra Angel. Unfortunately, I got paired against Dom’s terrifying Bant deck in Round five, and resigned myself to a loss before we sat down. 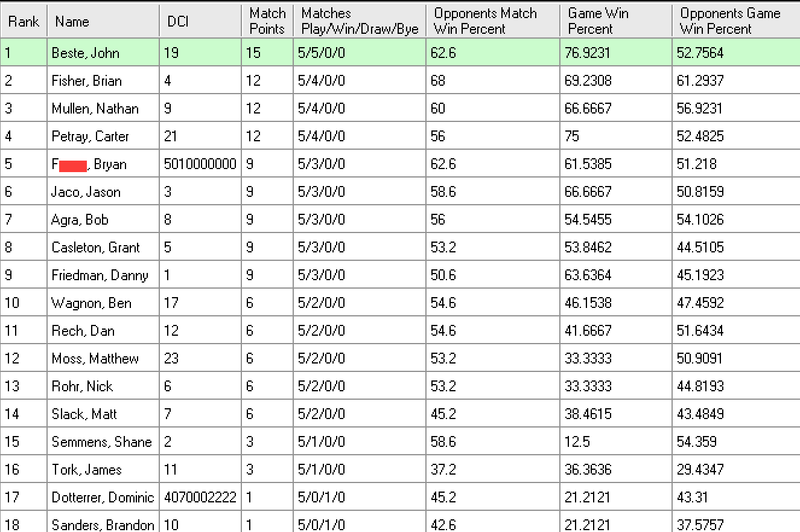 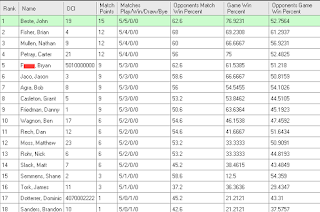 However, Zoo does a very good job of punishing mulligans and slow draws, and that's what this match boiled down to. 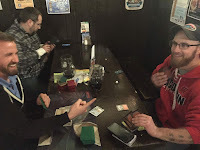 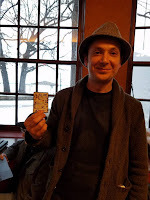 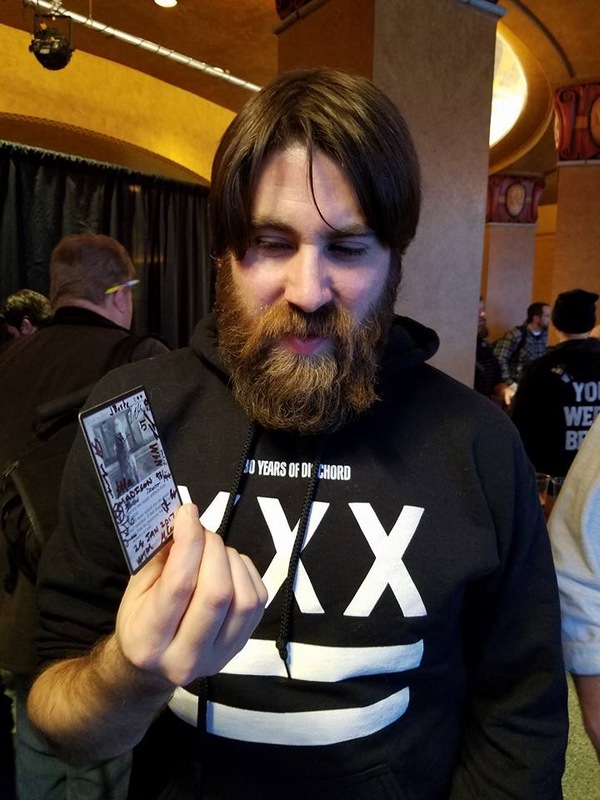 In the first game, Dom put up a strong fight in spite of a mulligan to five, but eventually died to more pressure than he could answer being down two cards. 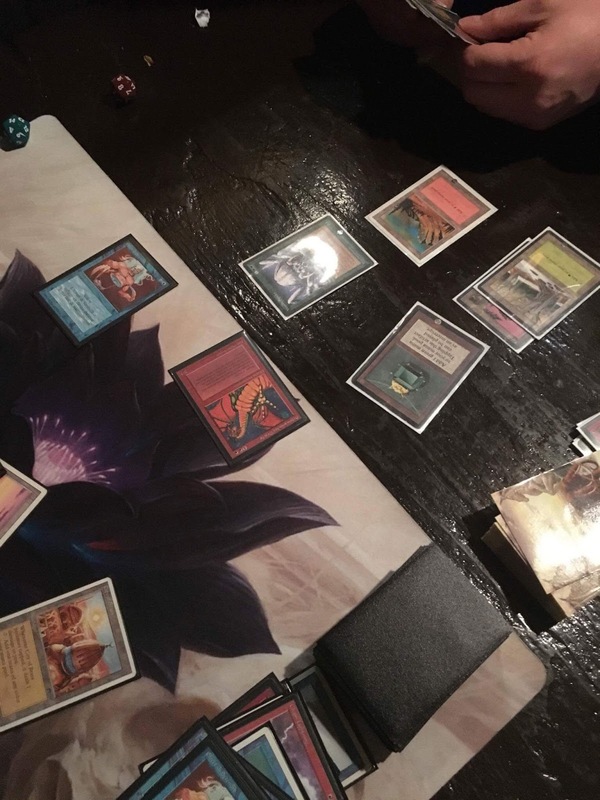 In the second game, I Bolted an early Llanowar Elf, which combined with a mana-light draw slowed him down enough for me to start dealing damage. 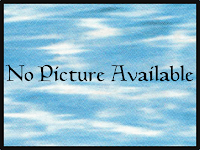 I eventually Ancestralled into enough Power Sinks to hold off any serious threats, and was able to ride the threats and burn I had to the win. 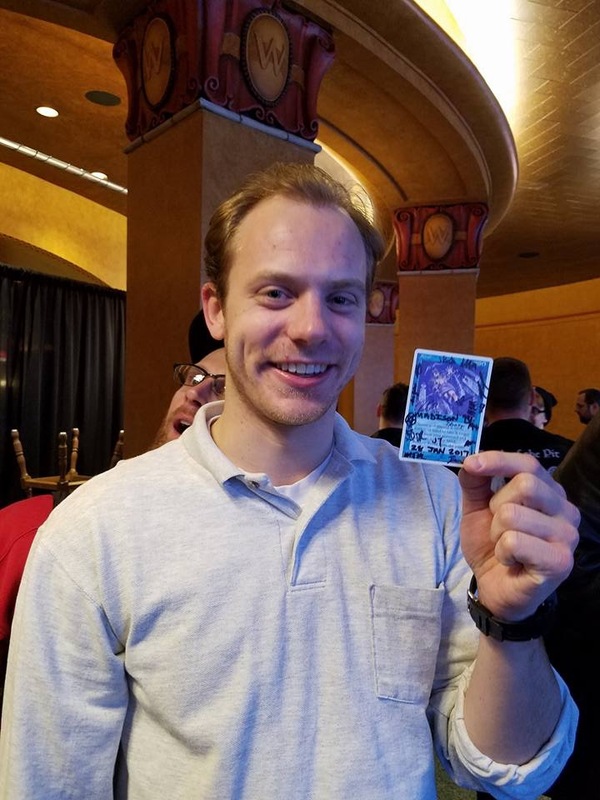 I felt pretty happy with my mainboard for this event. 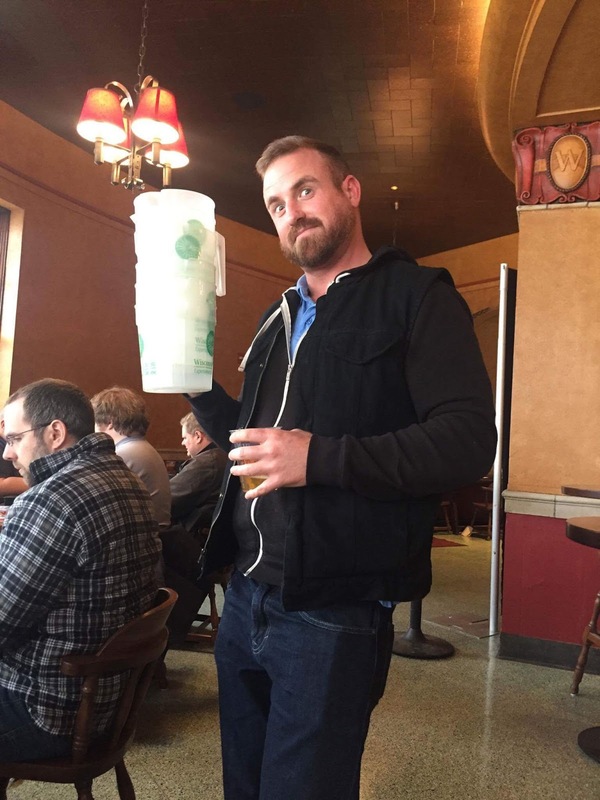 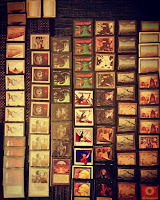 I never felt wholly unprepared for situations I ran into. 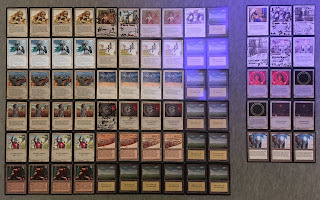 The nine colorless lands worried me a little, but my mana flowed well all day, and the full sets of Strip Mines and Mishra's Factories justified themselves well. 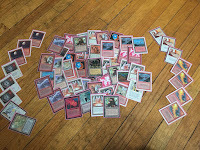 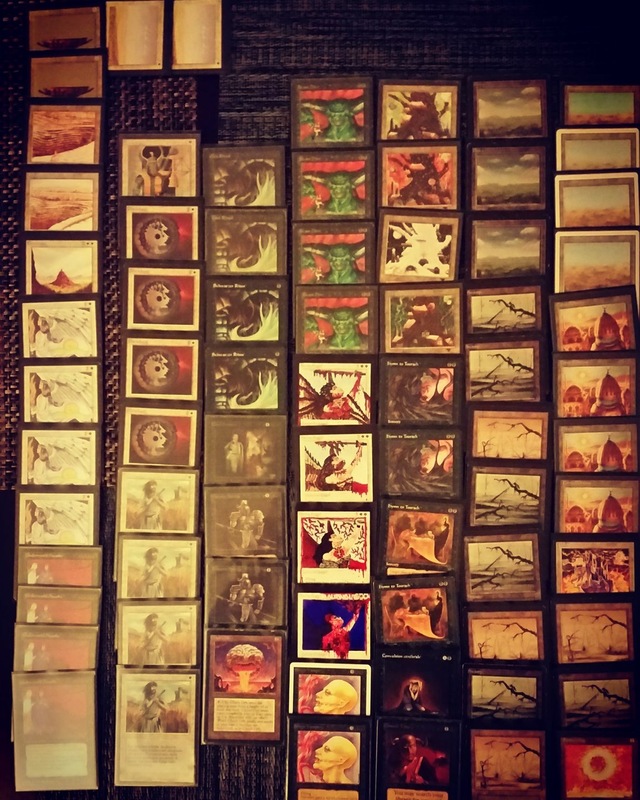 The sideboard however, is extremely undeveloped - just a pile of hate cards for various nonsense I expected I might run into. 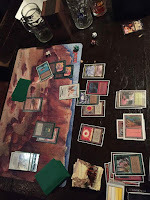 Disrupting Scepter never felt great, even in grindy matches against The Deck, and Energy Flux just seemed unnecessary. This event was fantastic, and I really enjoy having such a vibrant Old School scene next door in Chicago, especially one so welcoming to those of us outside the city itself. 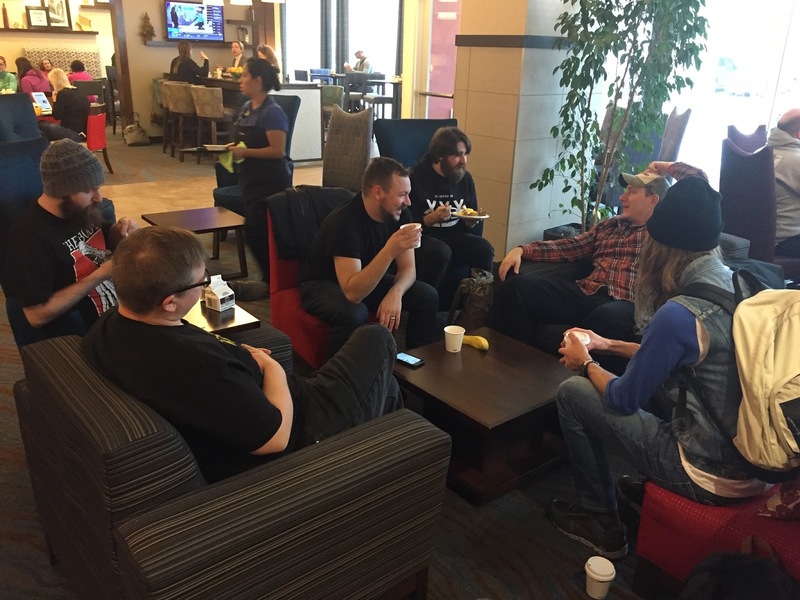 Thanks to all involved for contributing to a great weekend! 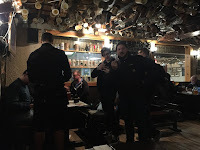 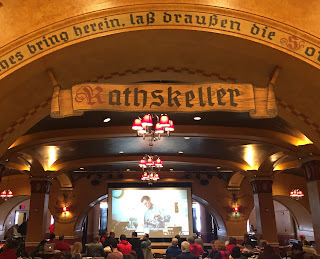 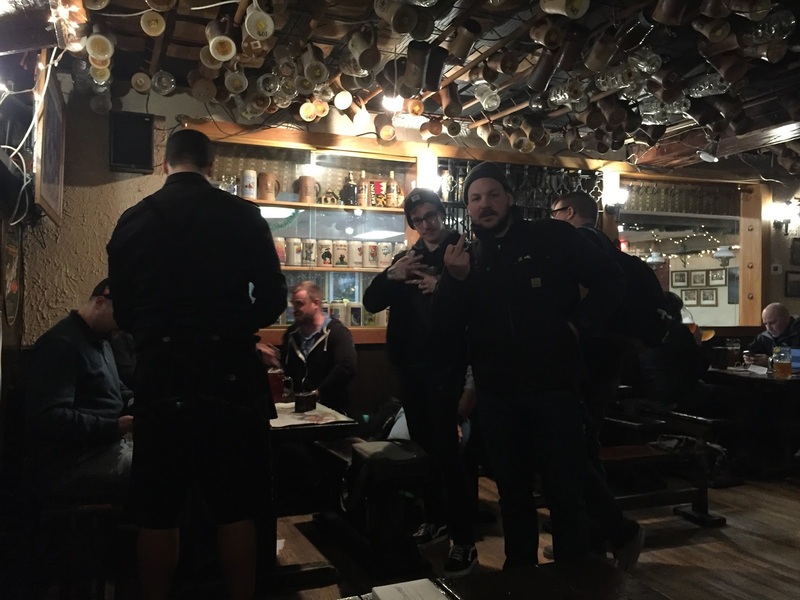 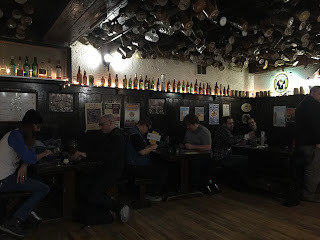 After our tournament which took place at the University of Wisconsin Union, we headed over to Essen Haus for a '95 tournament and German beer (the boots required a deposit). 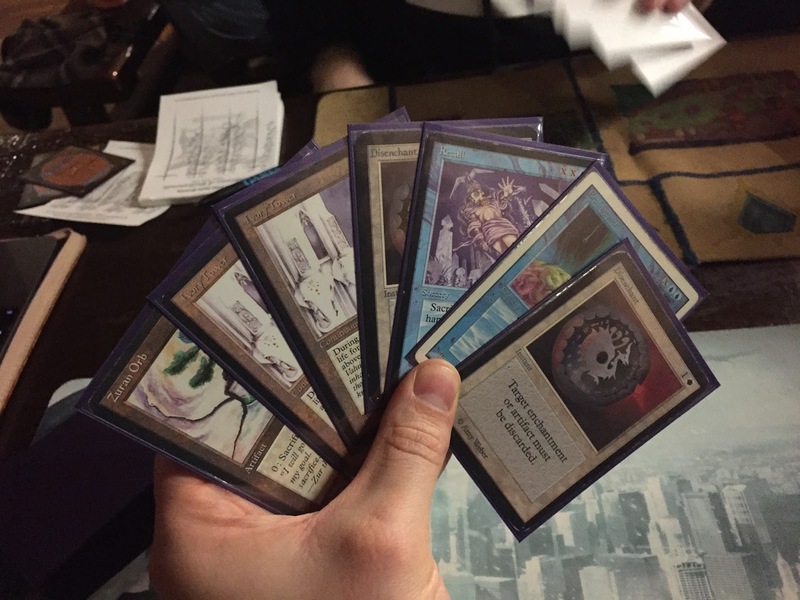 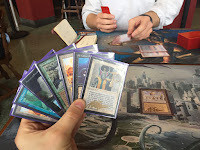 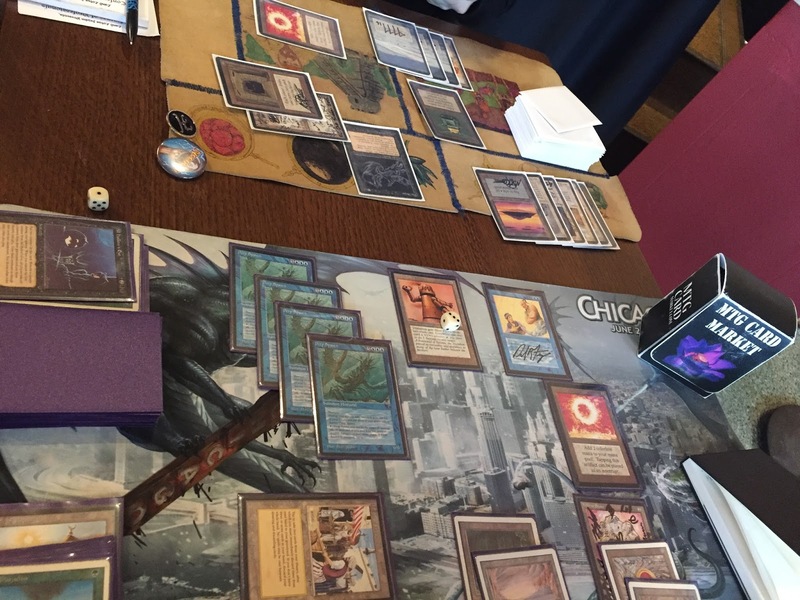 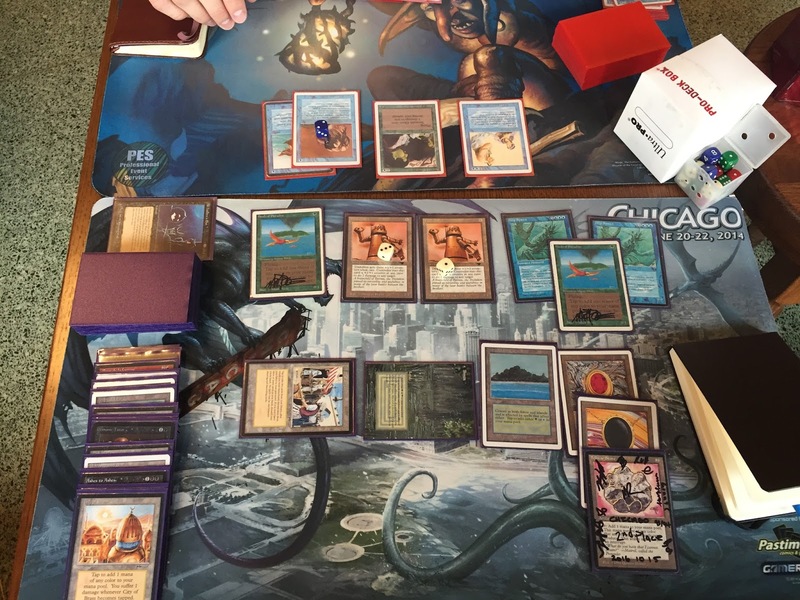 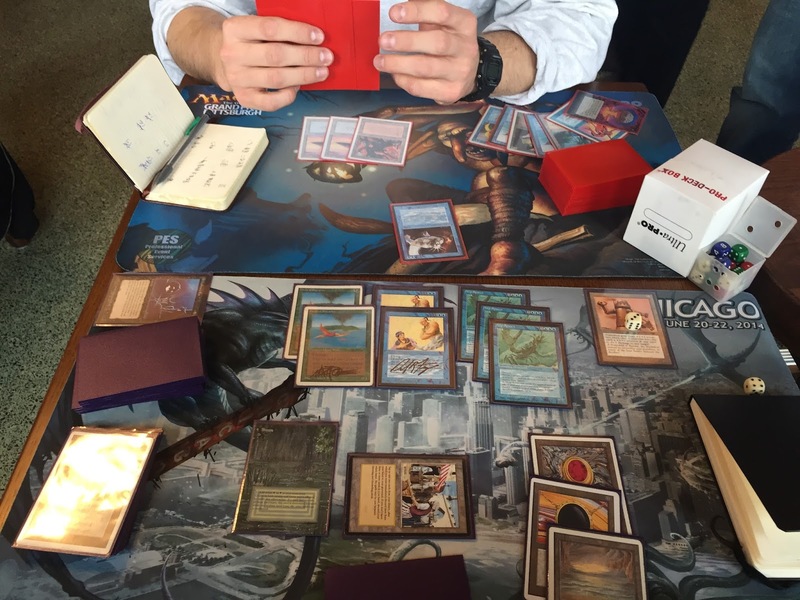 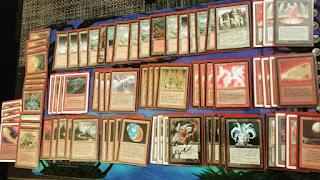 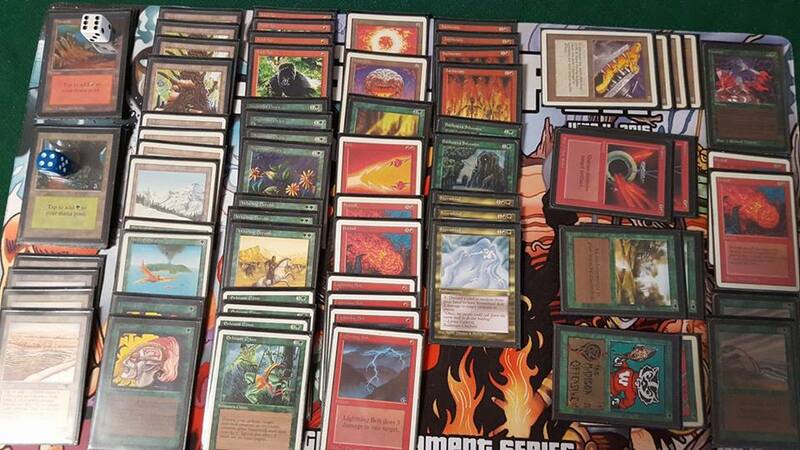 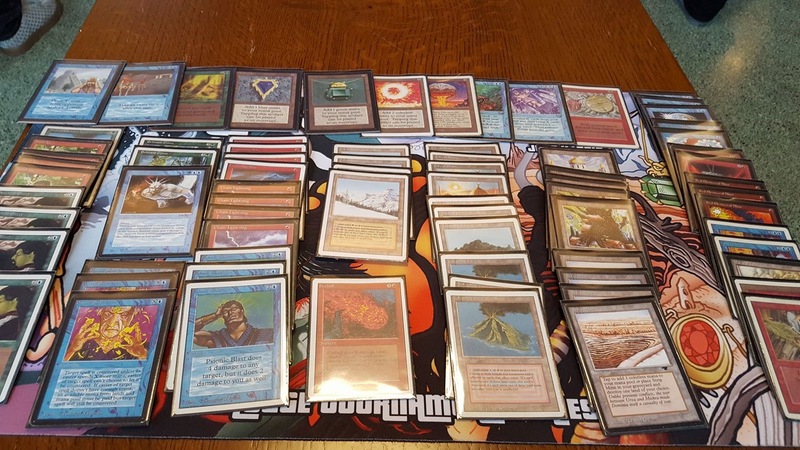 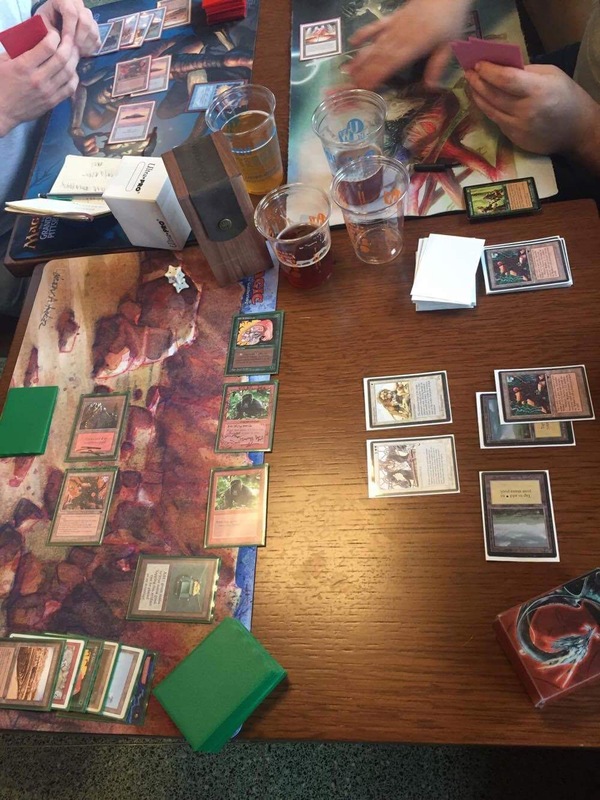 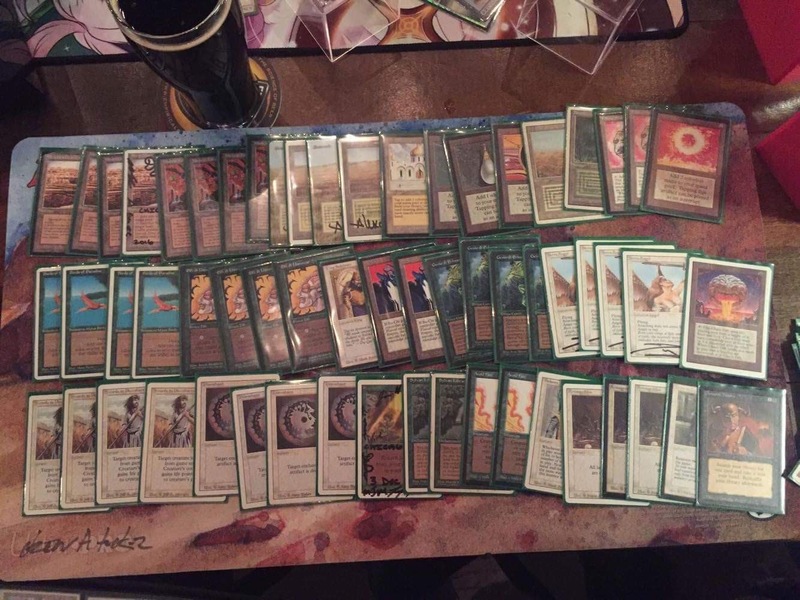 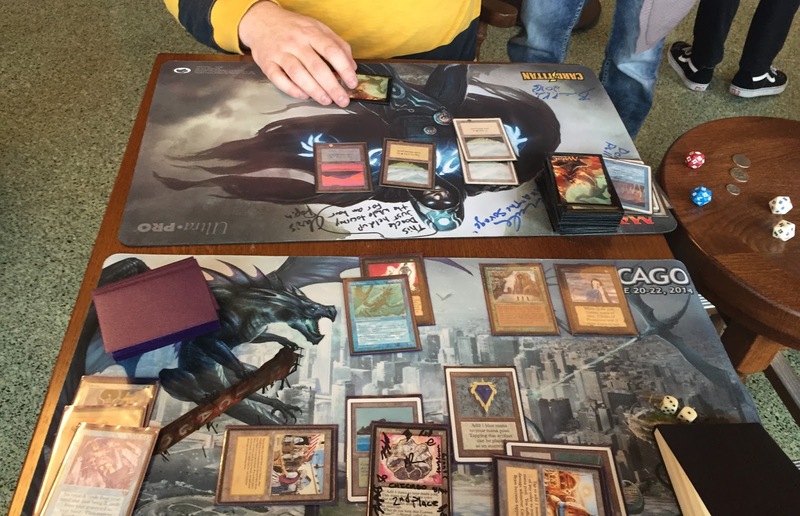 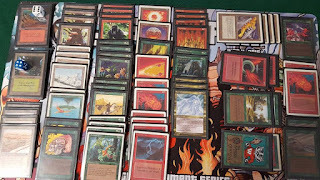 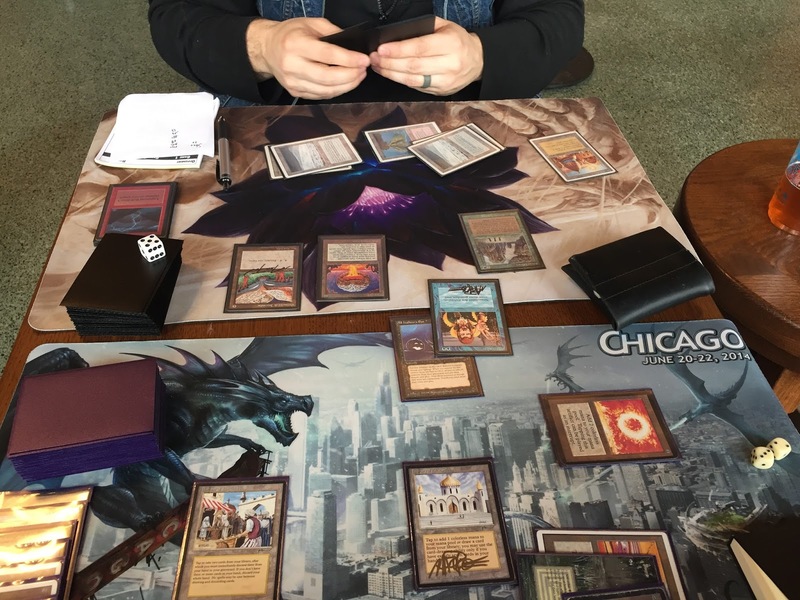 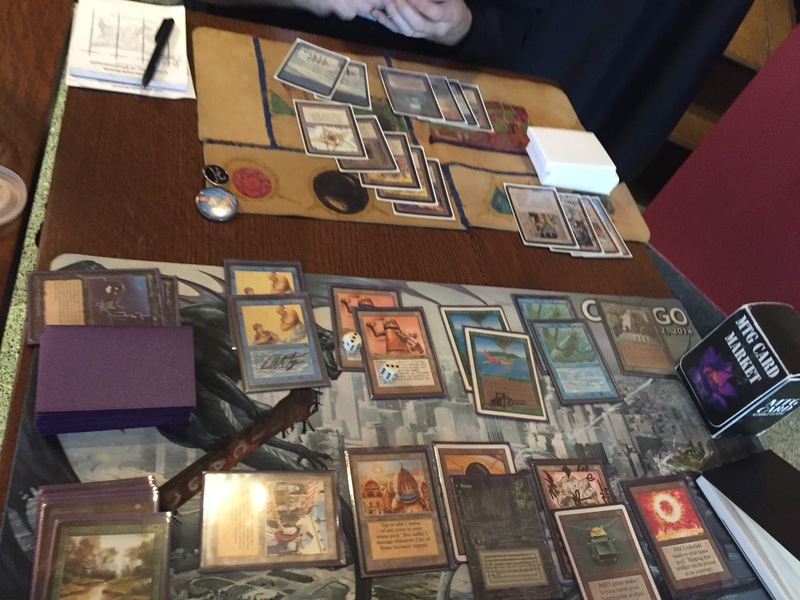 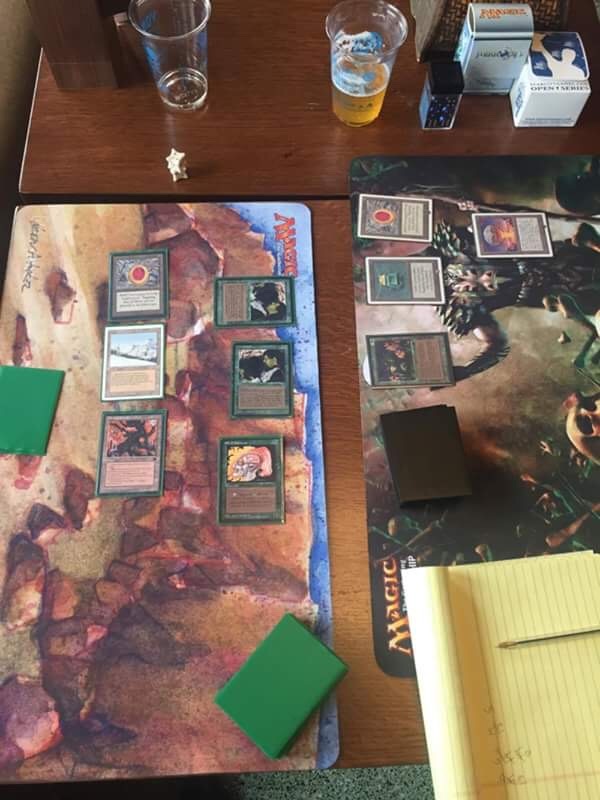 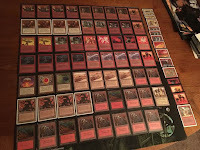 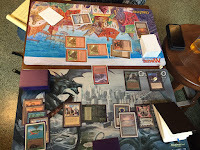 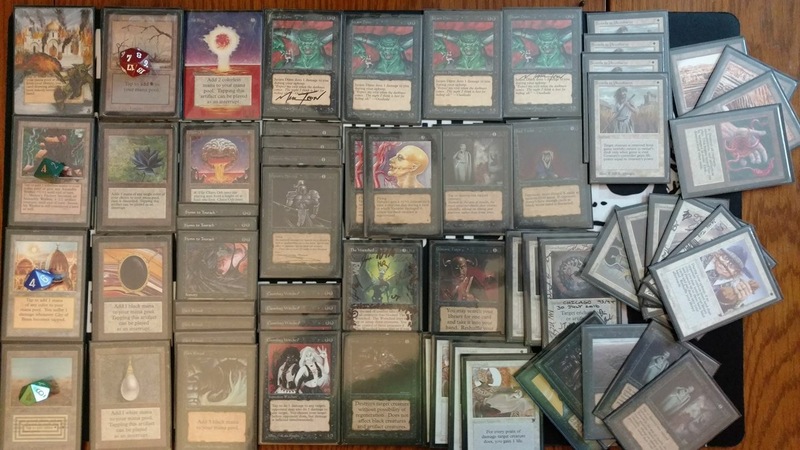 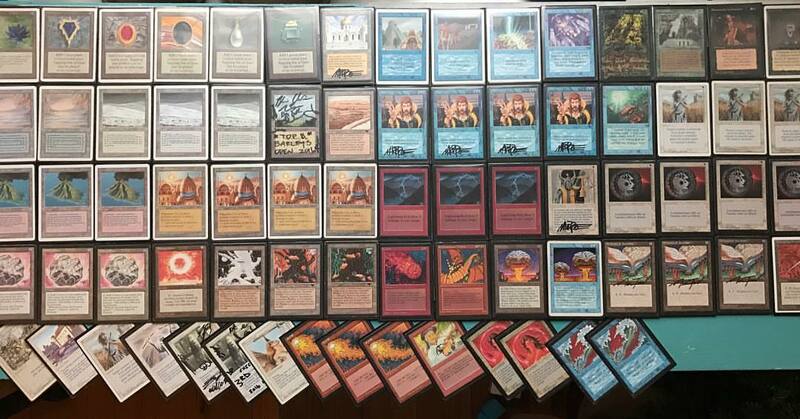 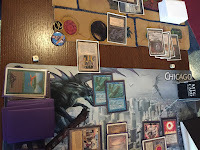 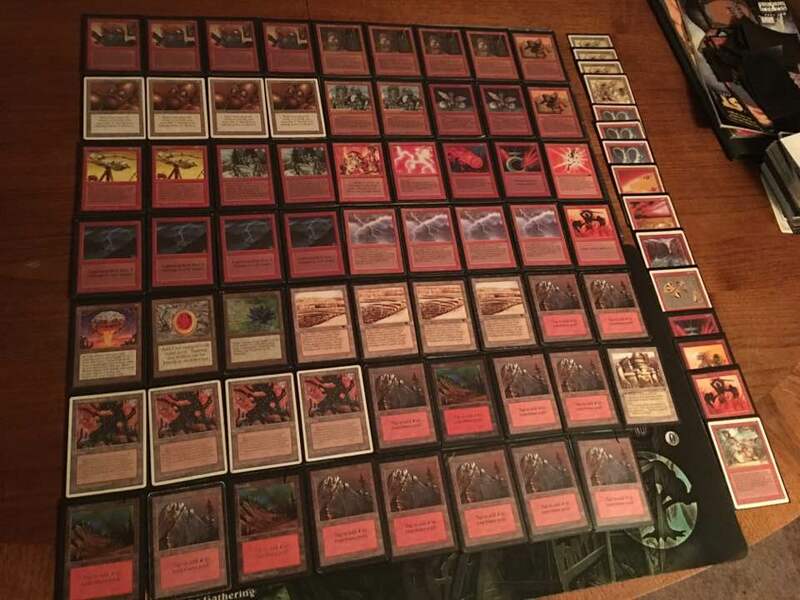 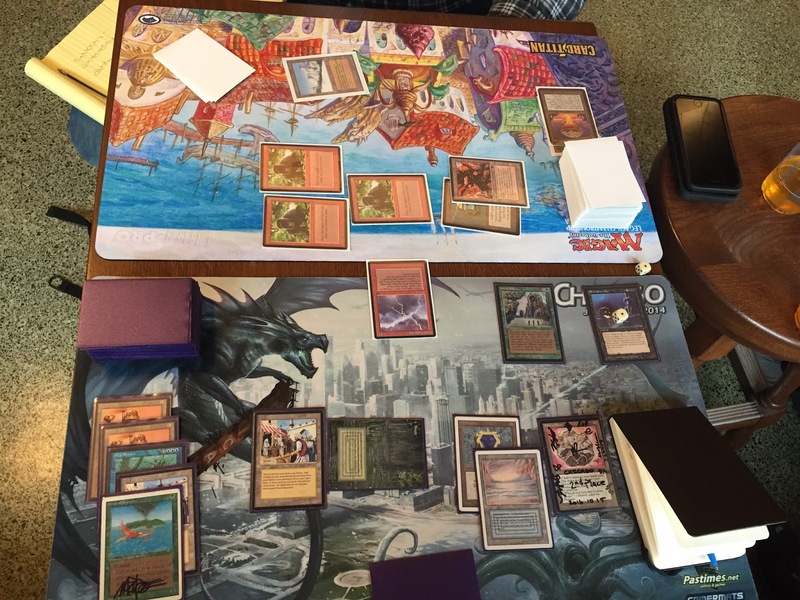 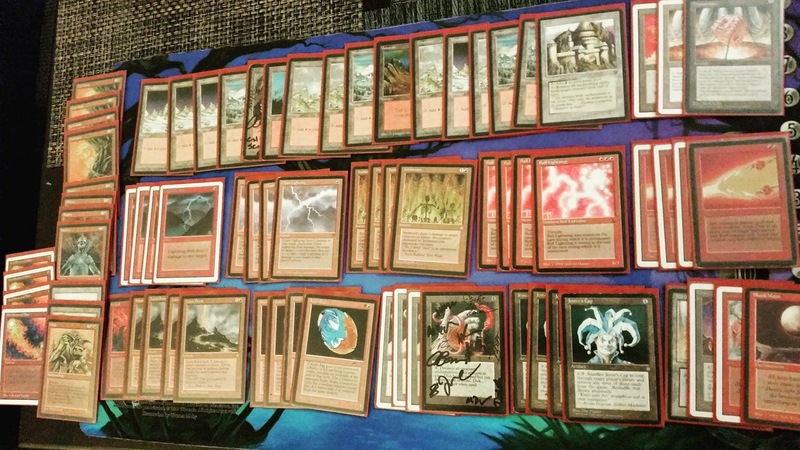 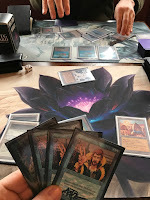 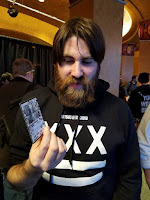 By the end of the event, John Beste came out an undefeated 5-0 with Reanimator. 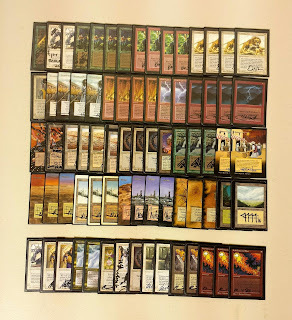 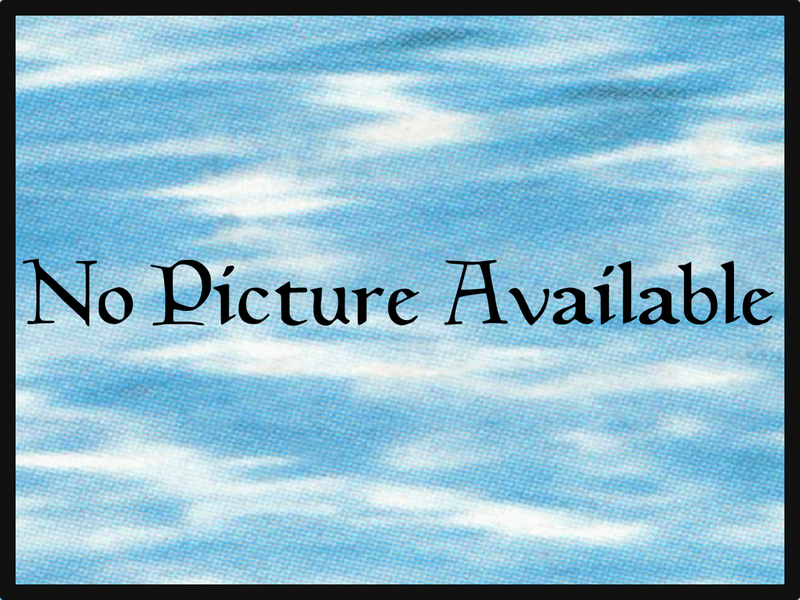 Extra thanks to Shane Semmens for technical help with this blog post—it would have been posted even later if he had not put his time into getting this done.